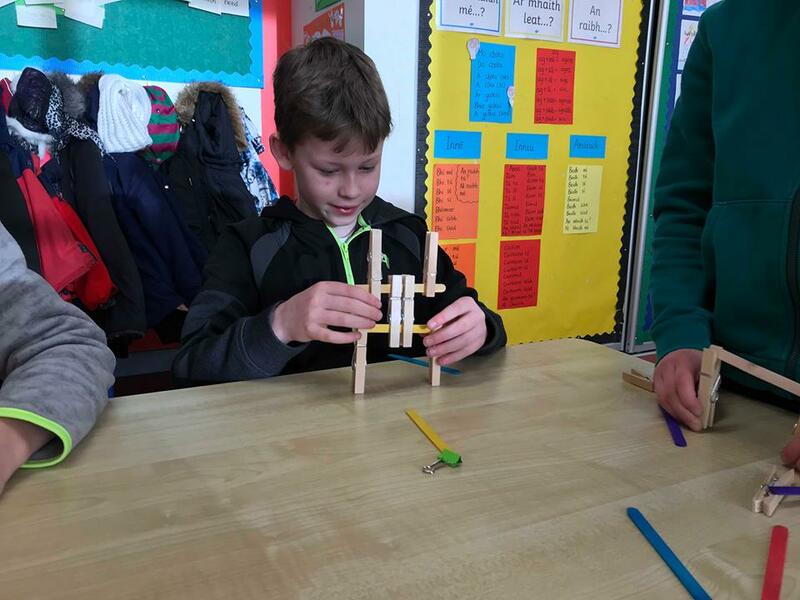 Megan a visiting teacher spent two days visiting each class and set engineering challenges. 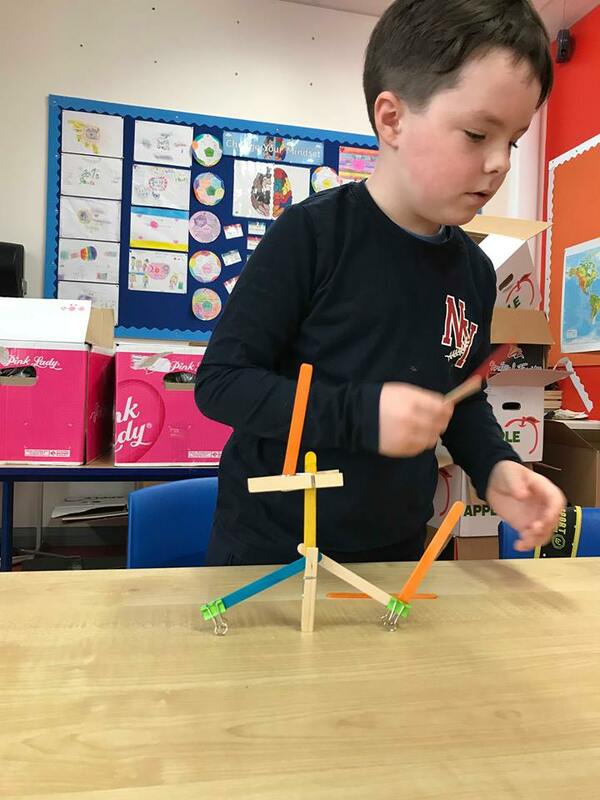 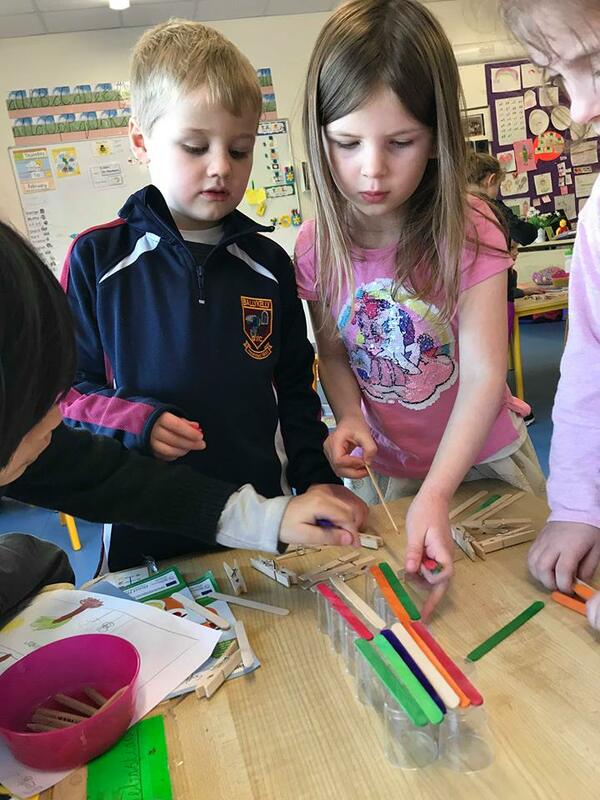 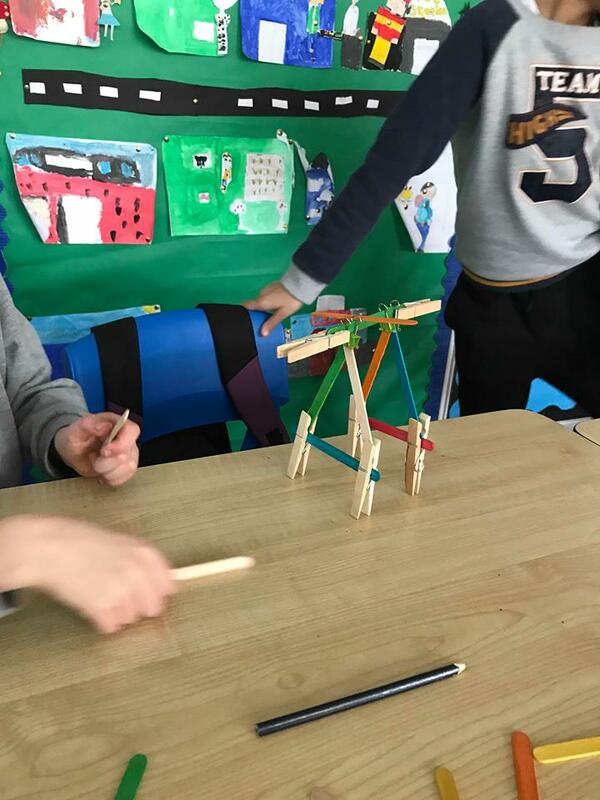 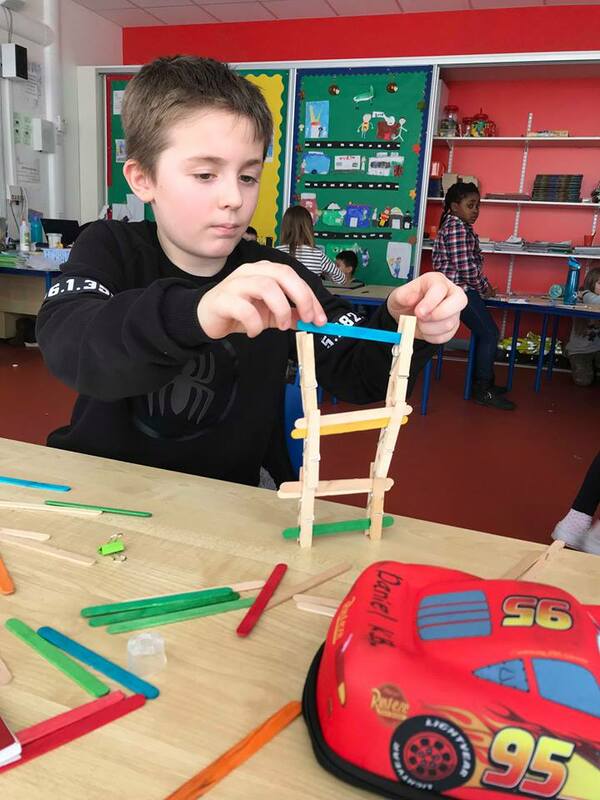 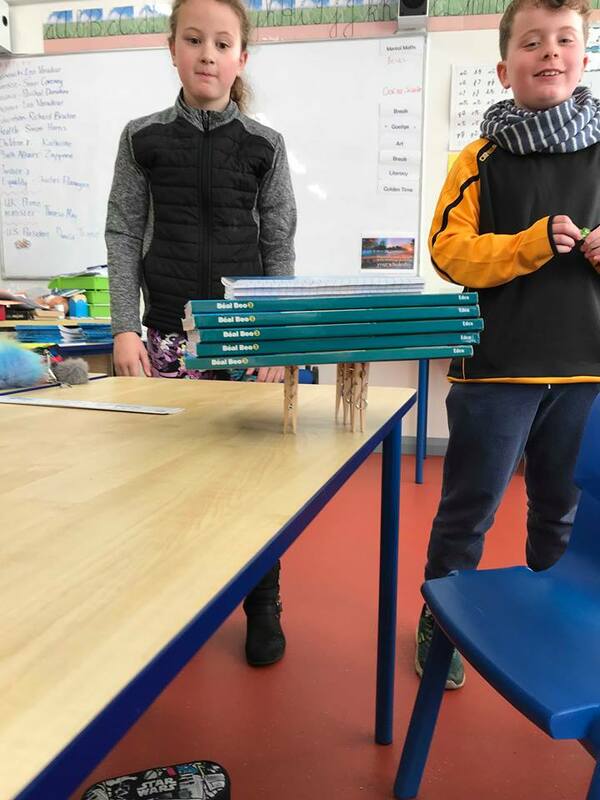 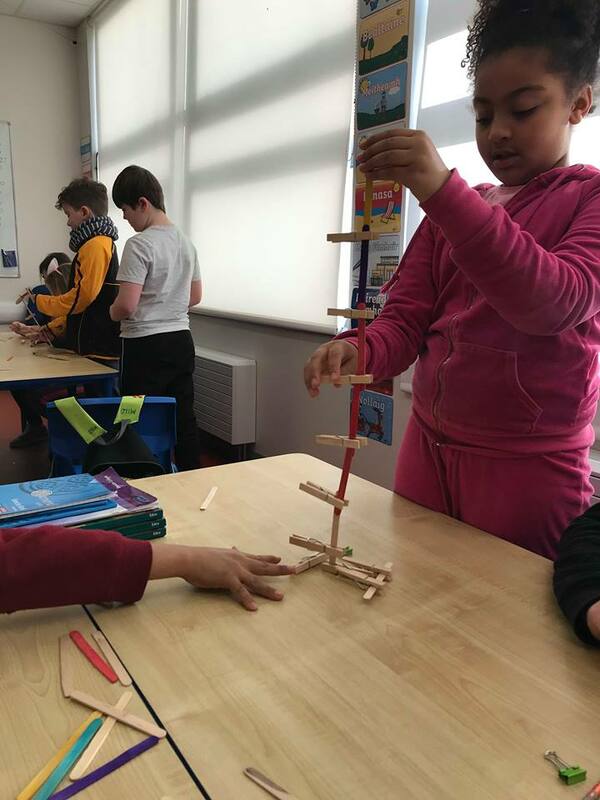 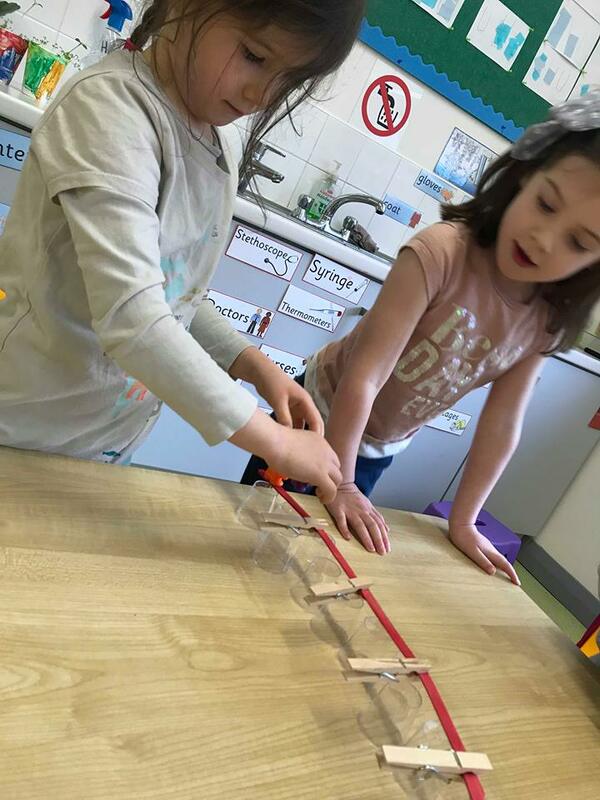 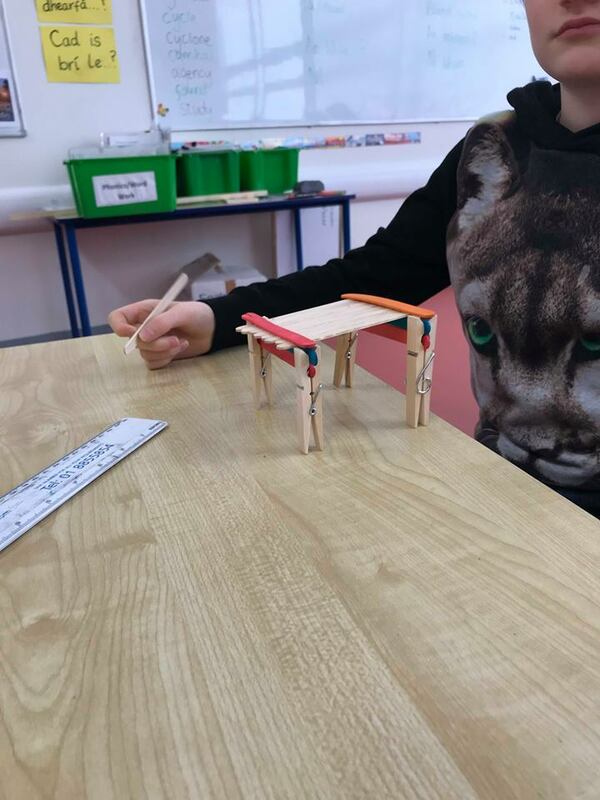 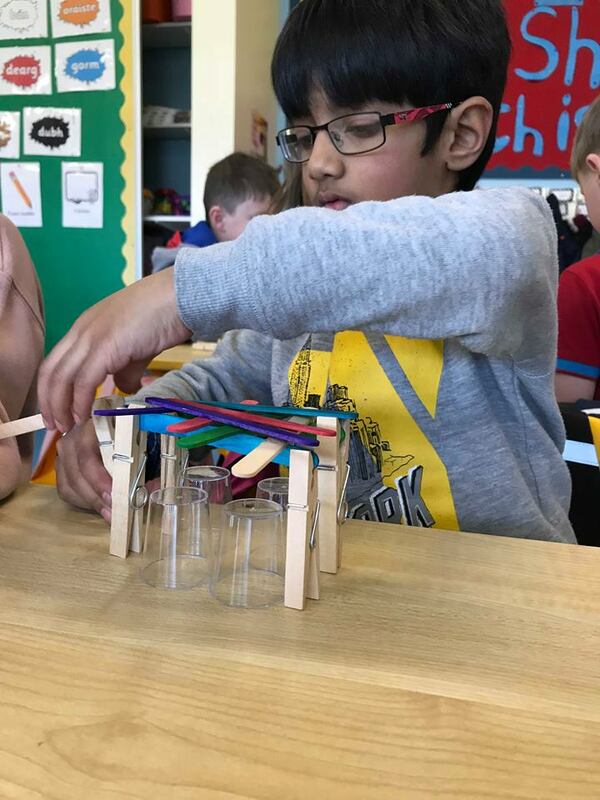 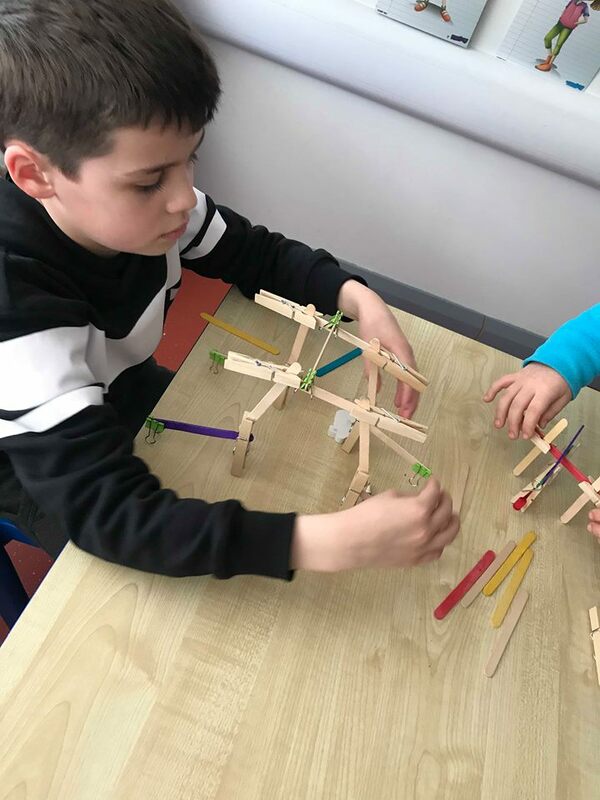 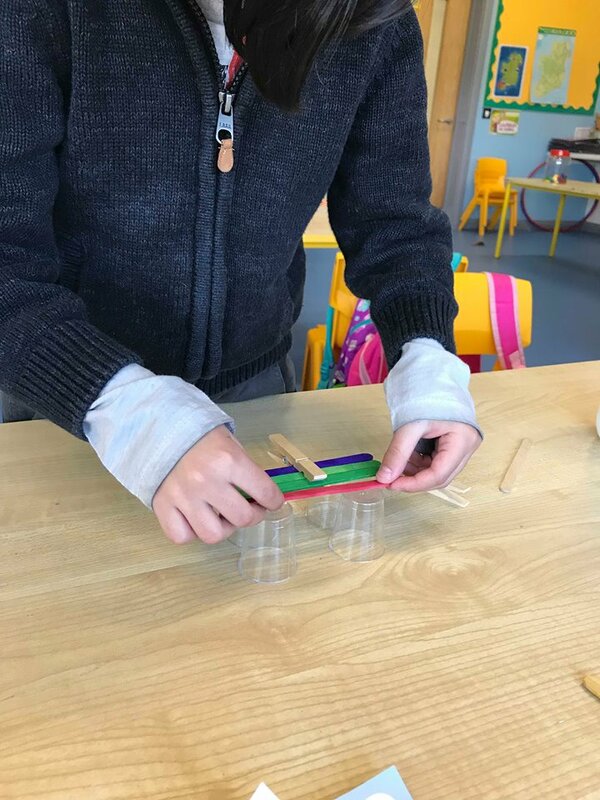 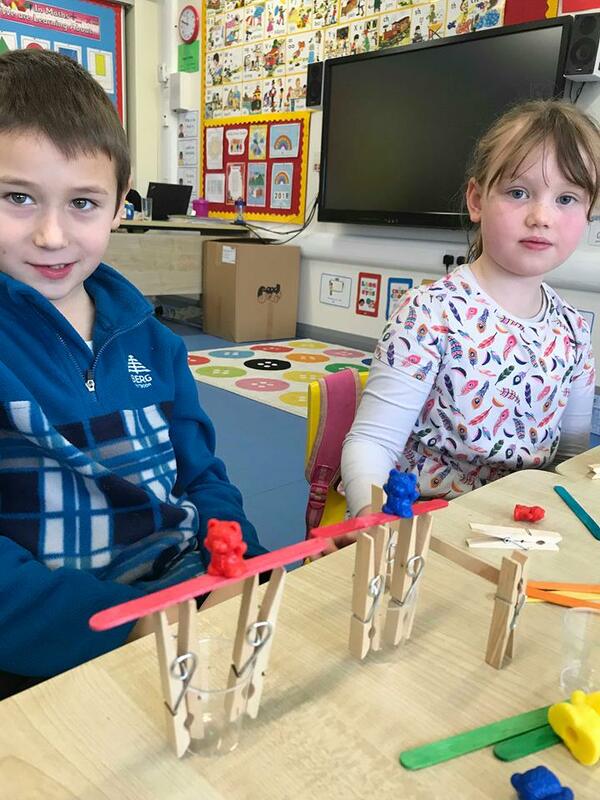 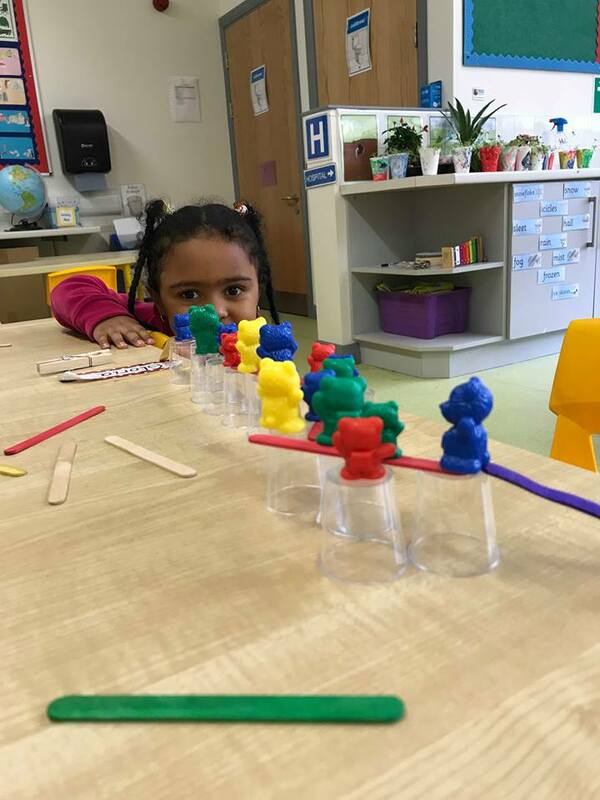 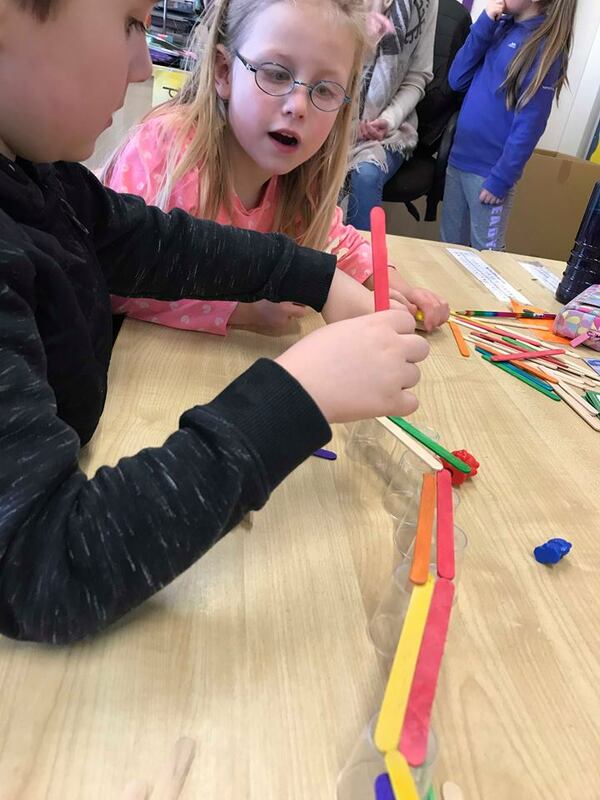 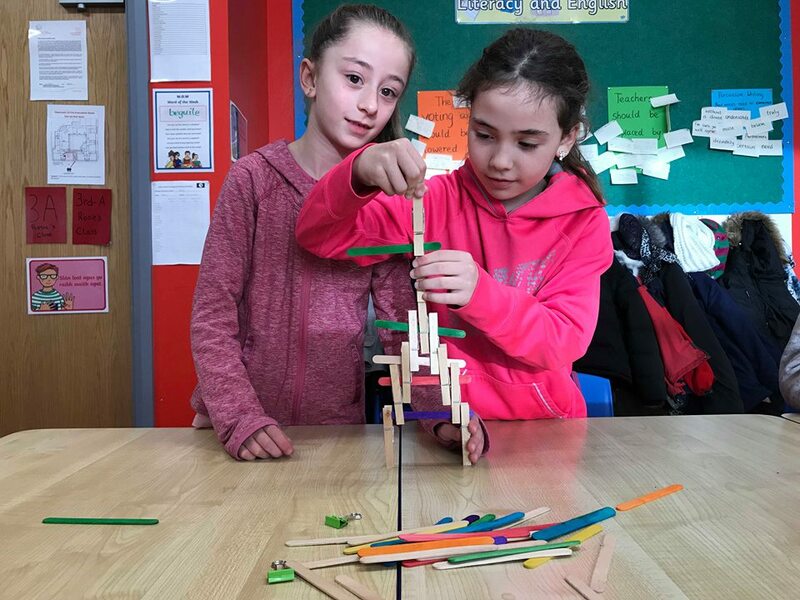 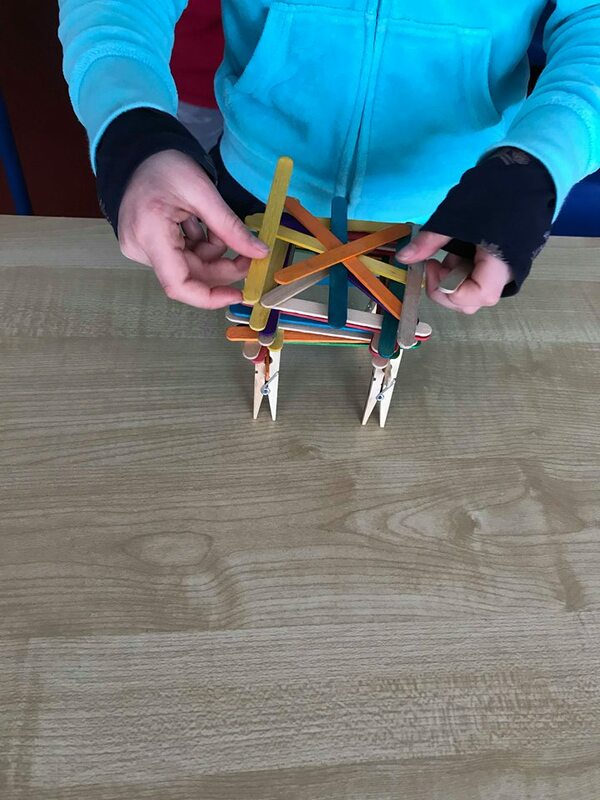 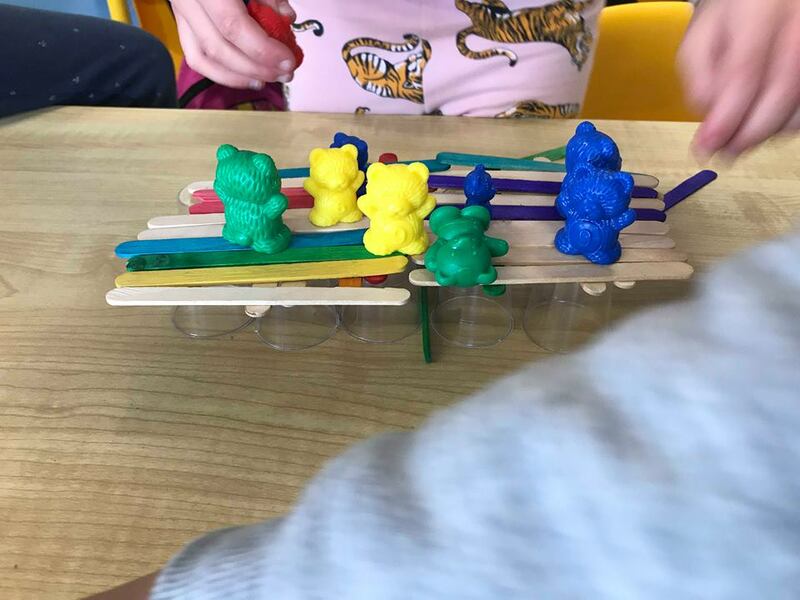 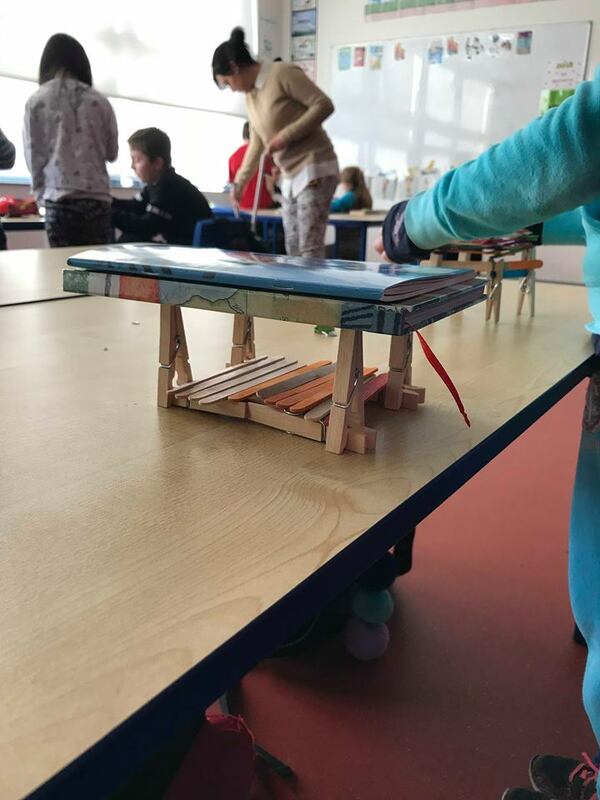 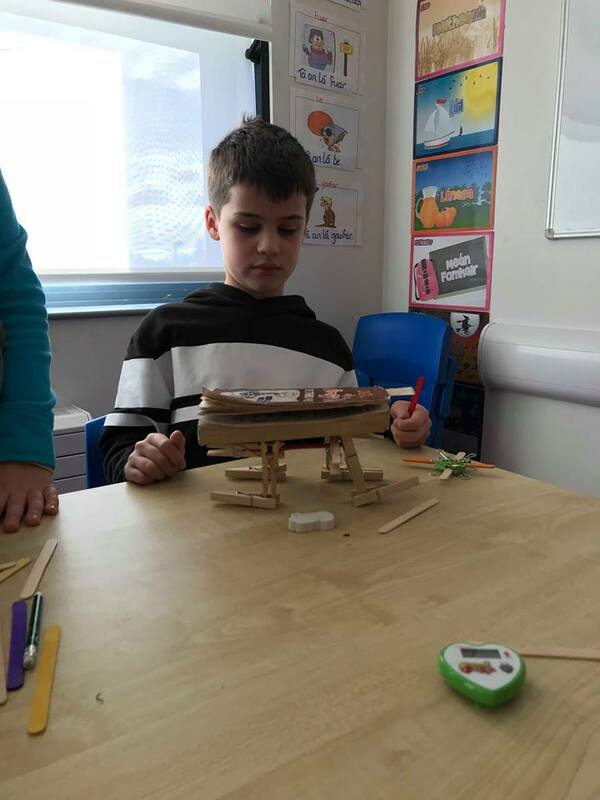 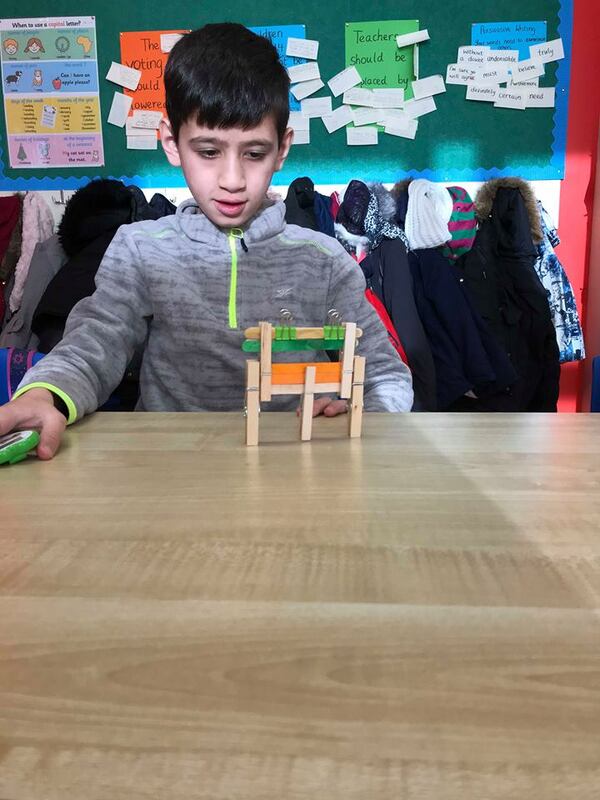 It was amazing to see the problem solving and teamwork involved in building bridges, creating balances and structures. 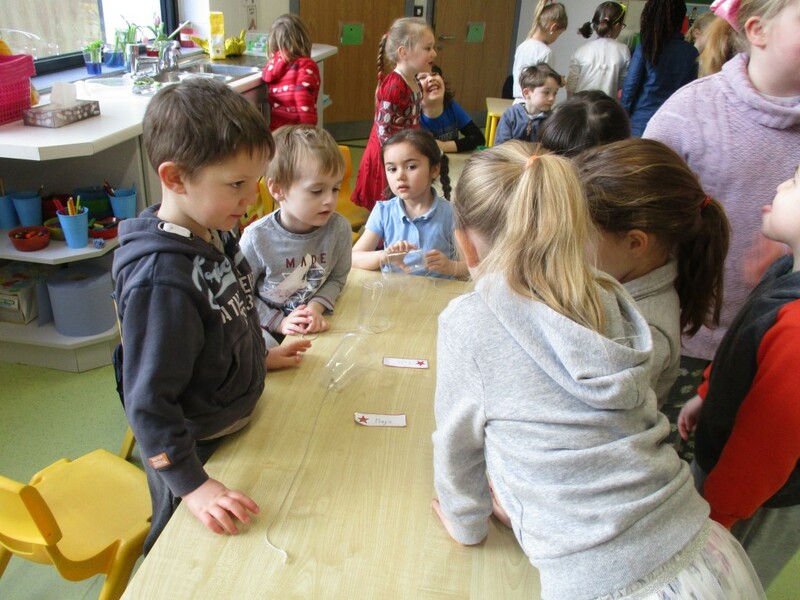 The whole school enjoyed hosting and visiting each others’ STEM exhibitions. 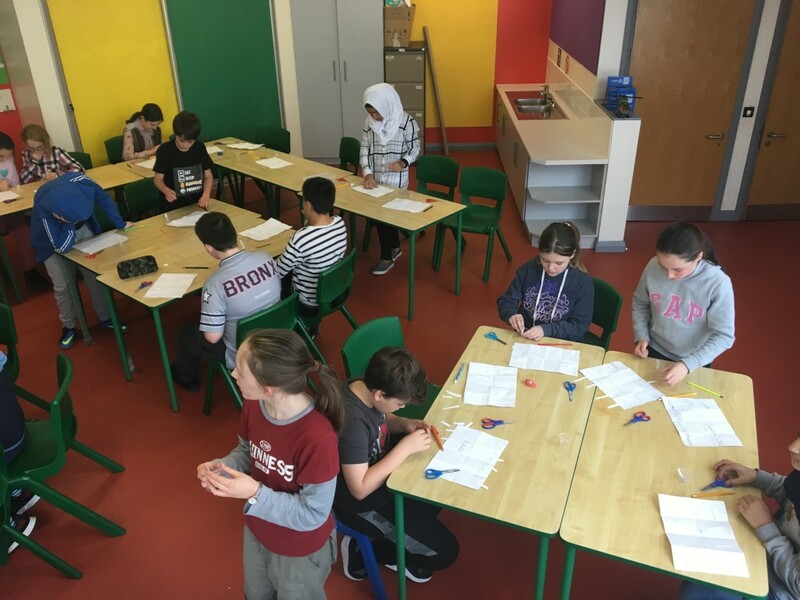 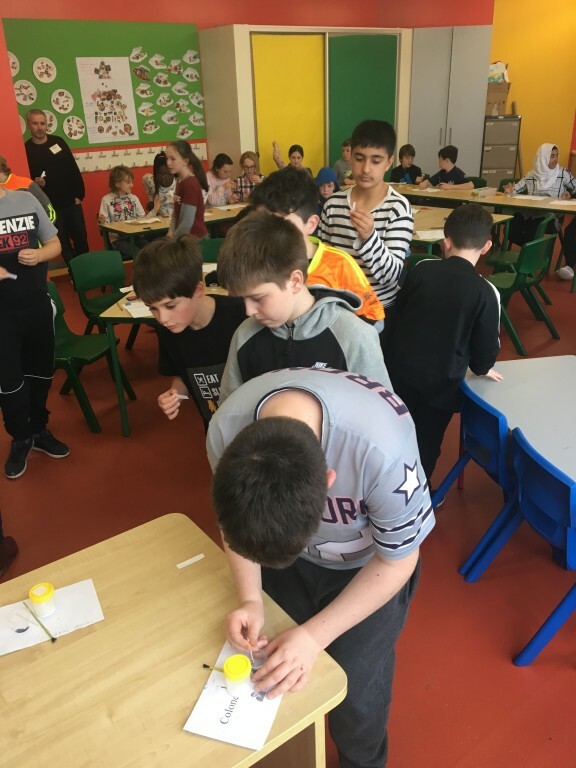 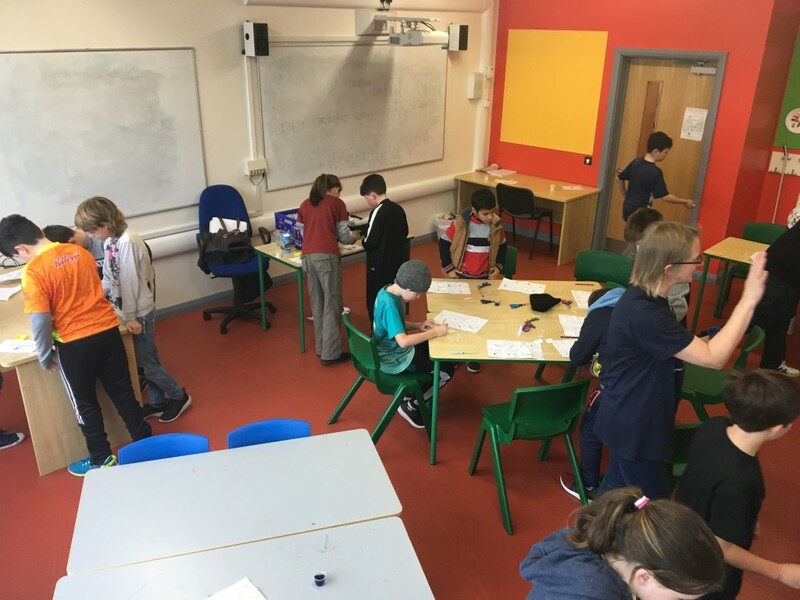 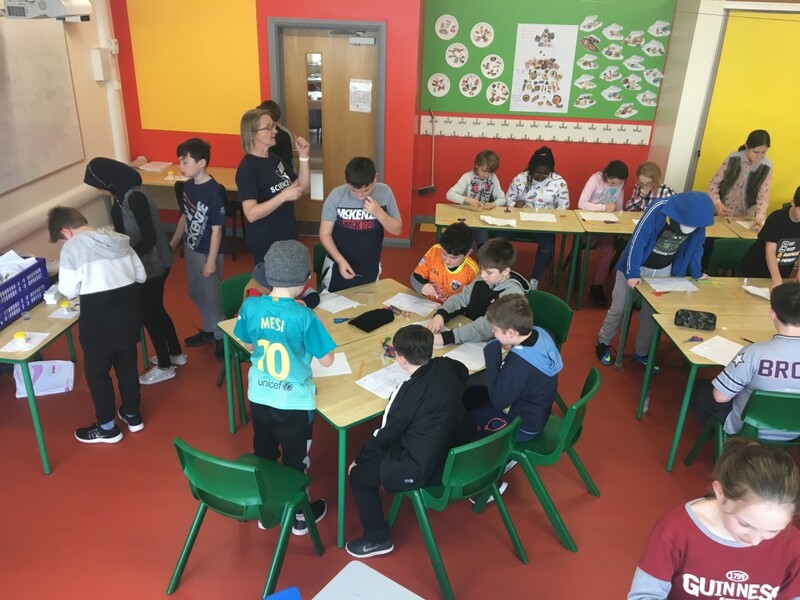 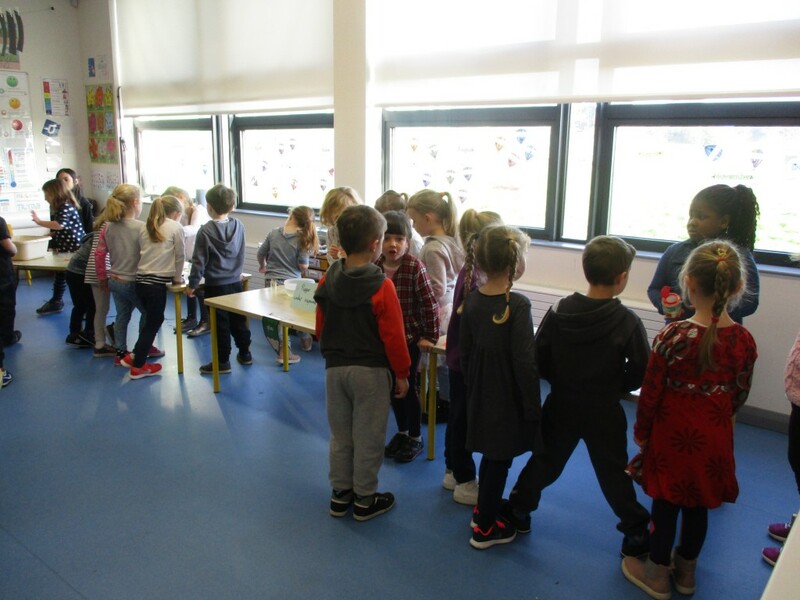 Lots of hard work was put into each exhibit by the classes and there was great variety in the Science, Technology, Engineering and Maths on display. 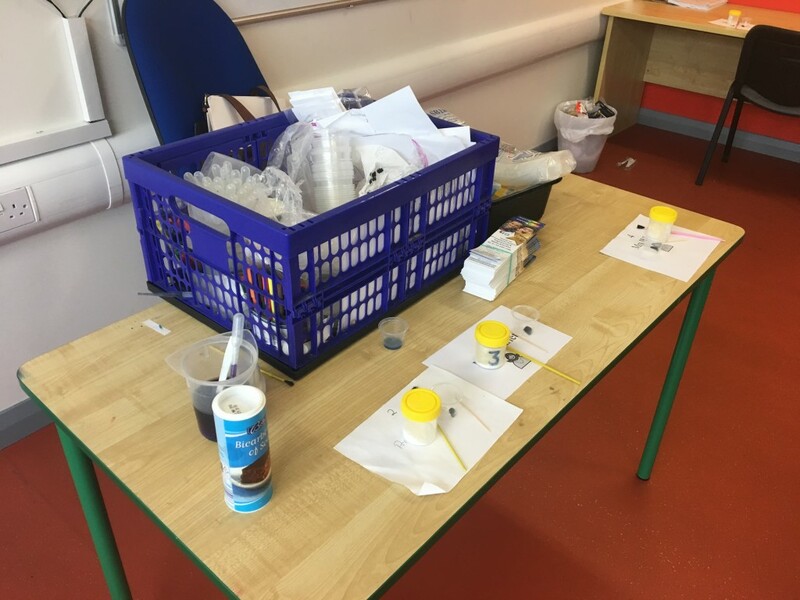 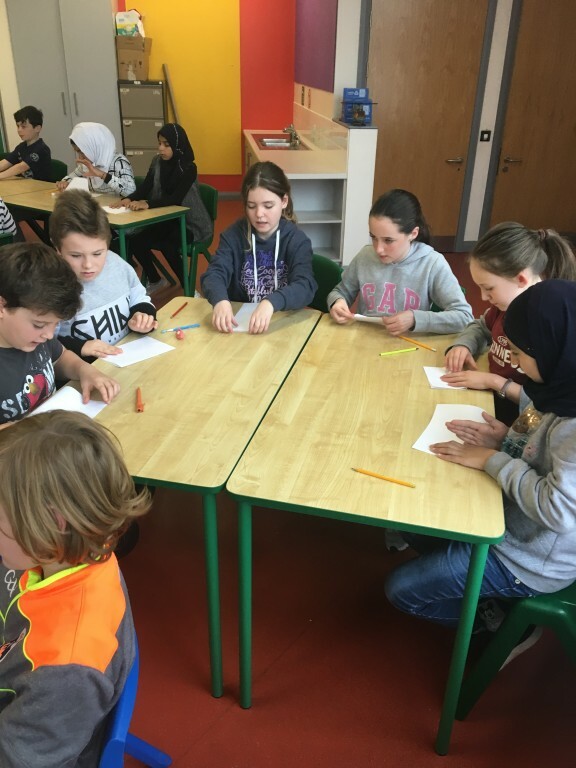 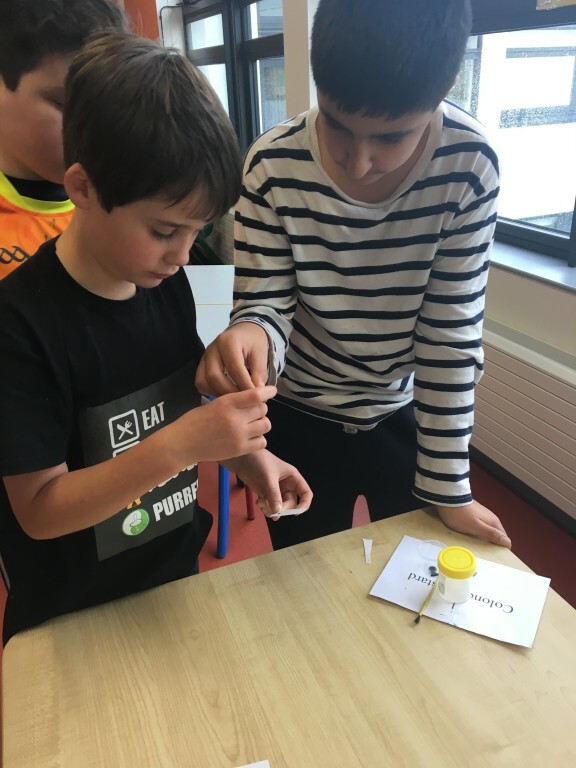 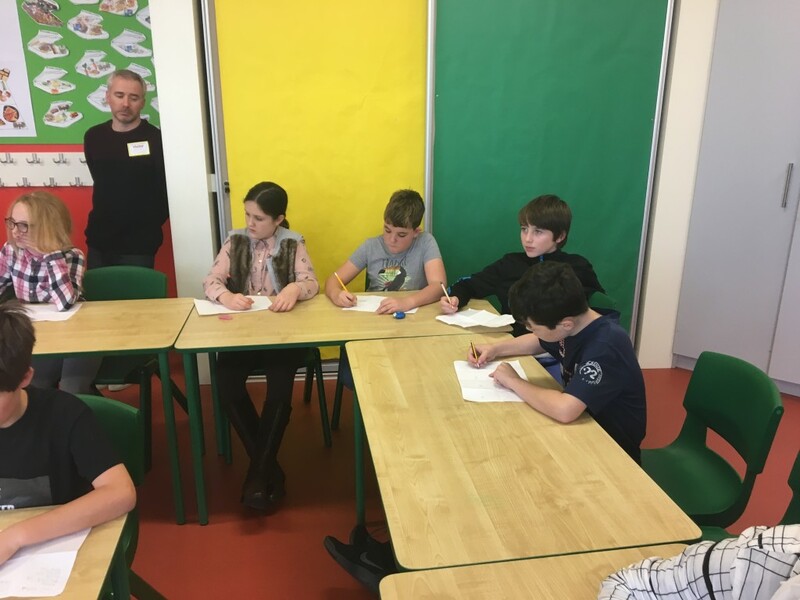 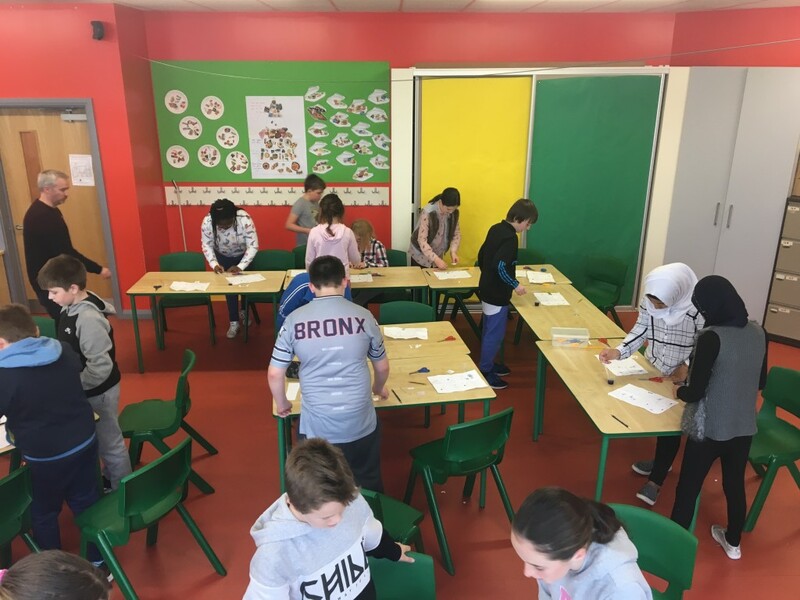 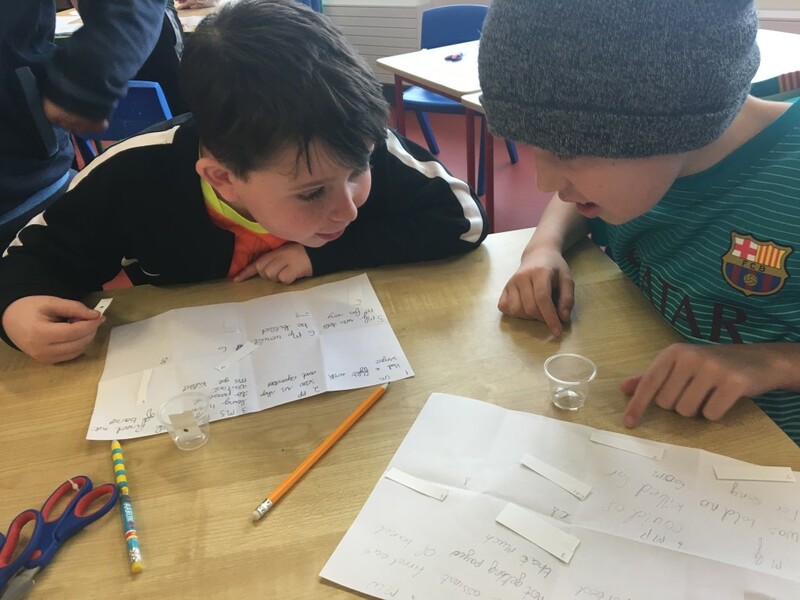 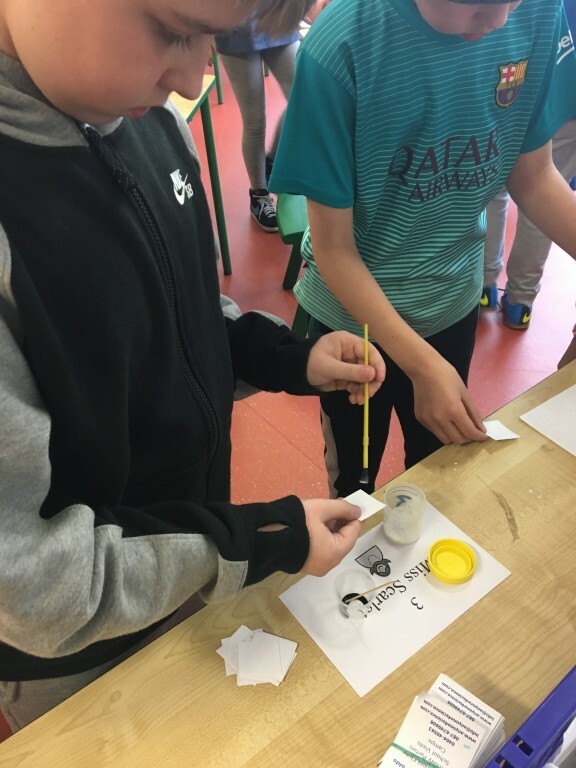 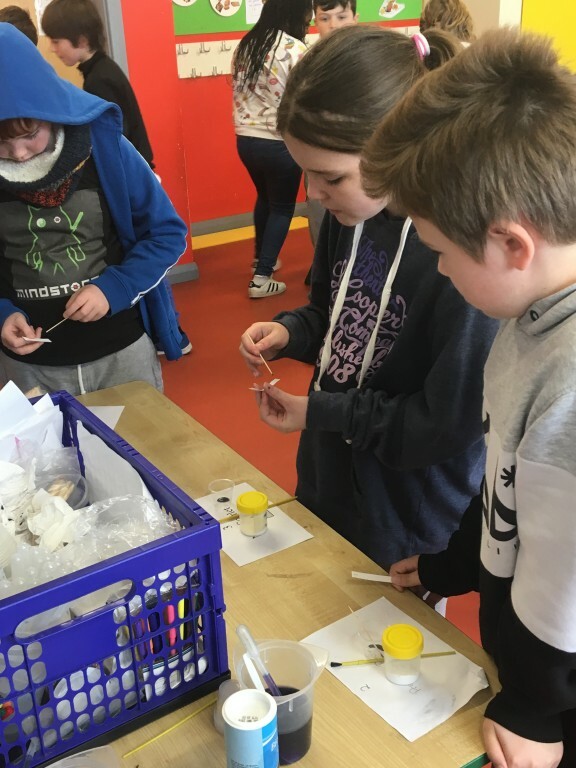 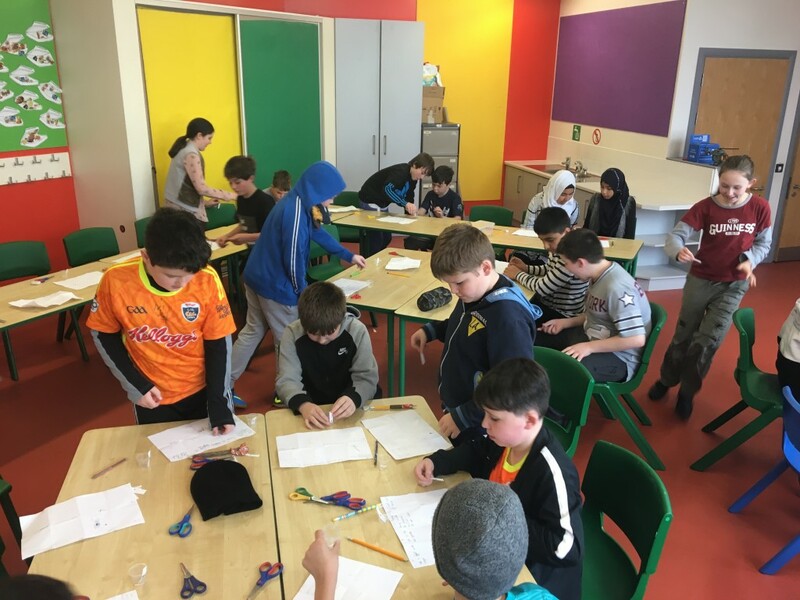 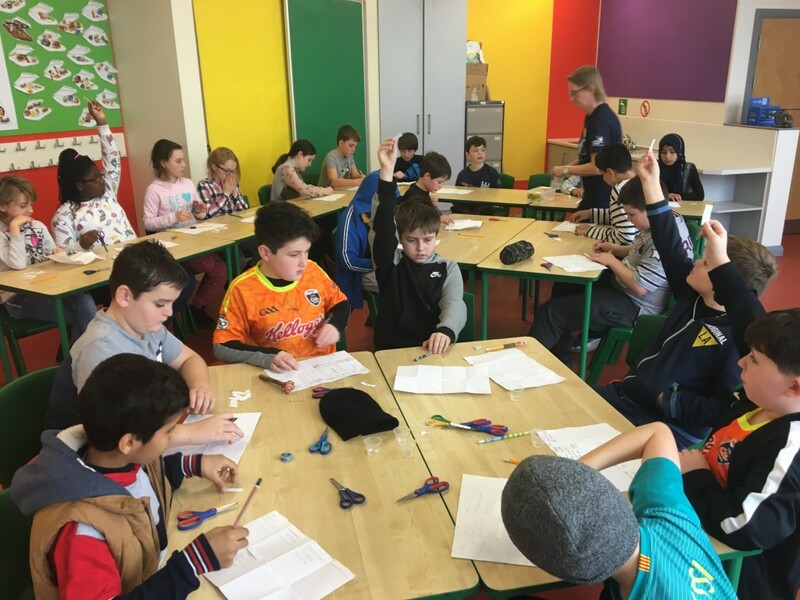 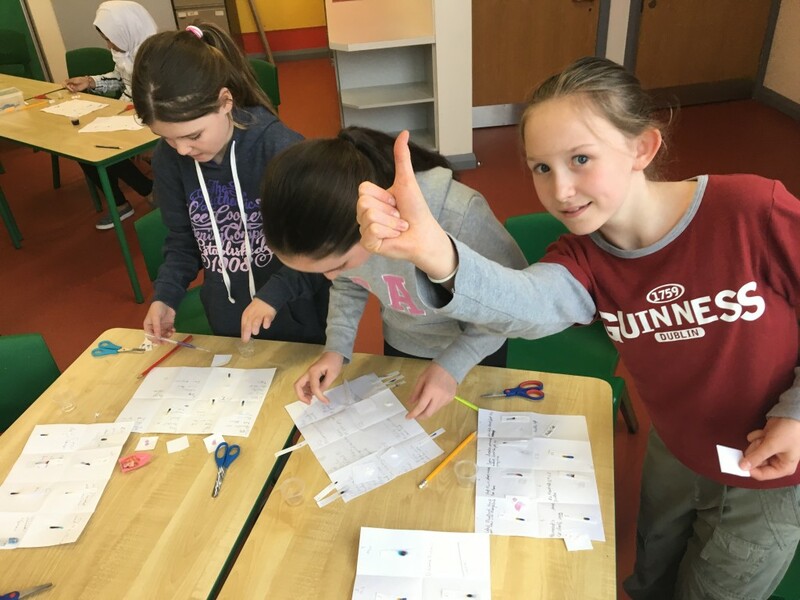 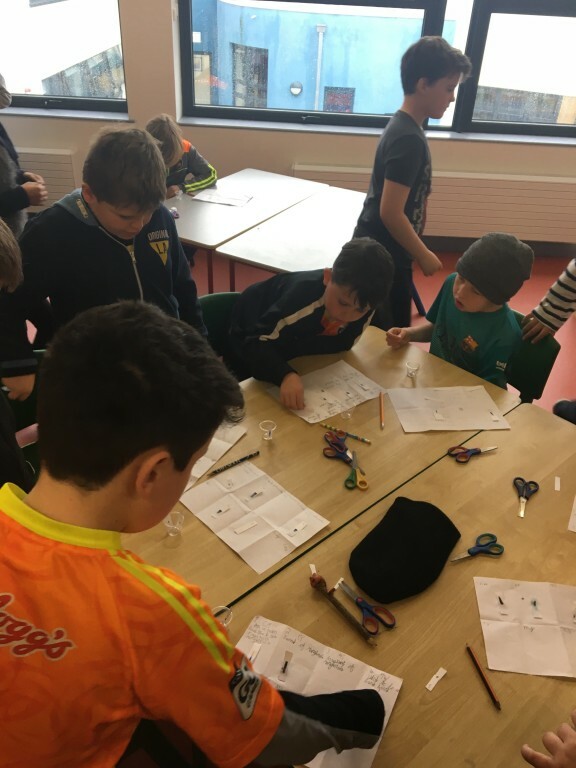 5th Class had a great time with Christine and Dermot from Kildare Town library in their Crime Scene Investigation. 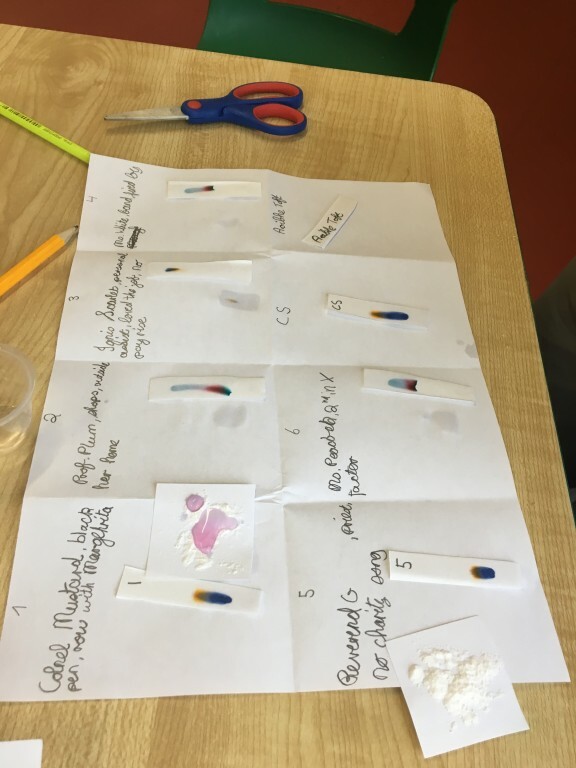 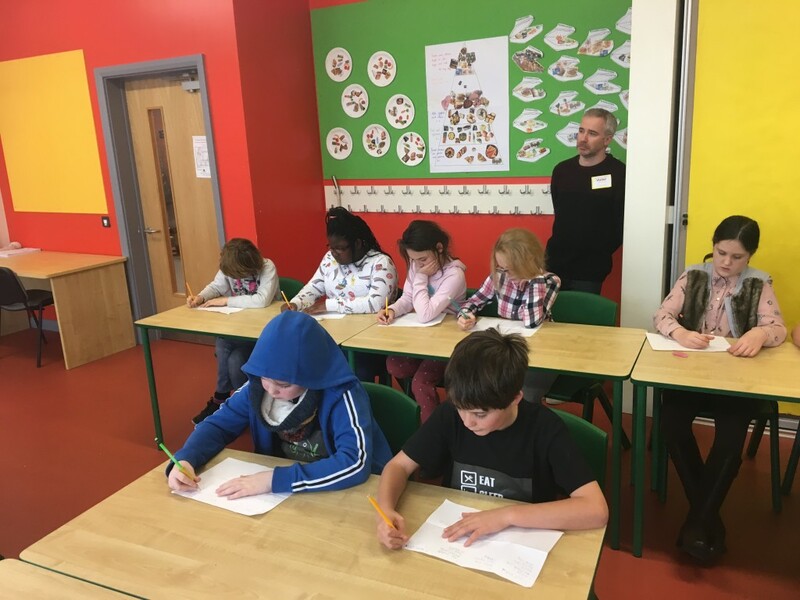 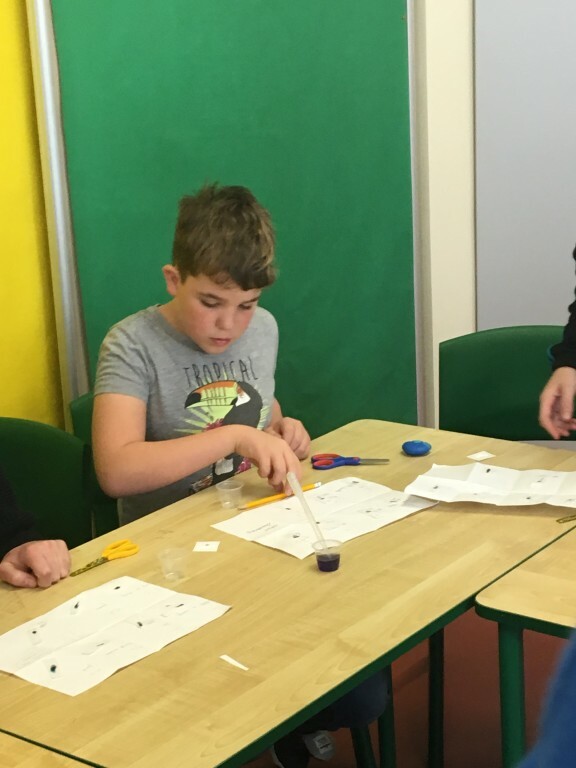 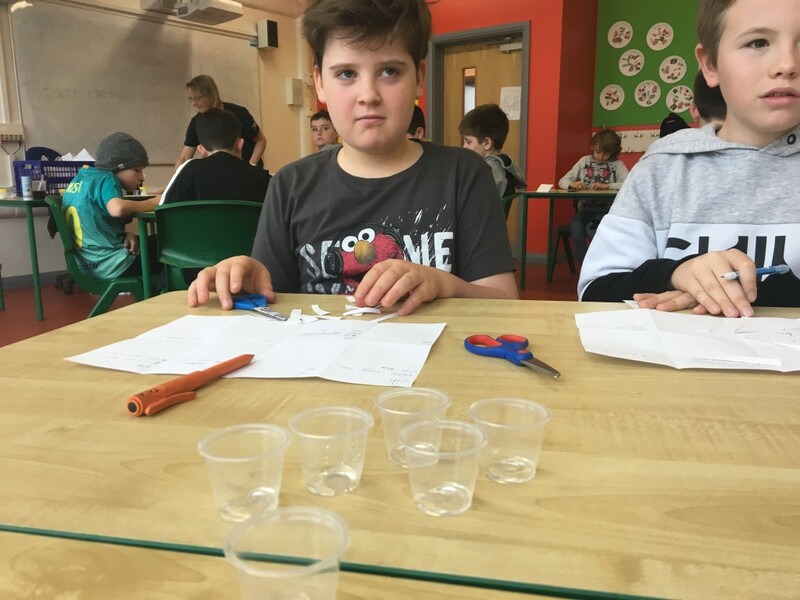 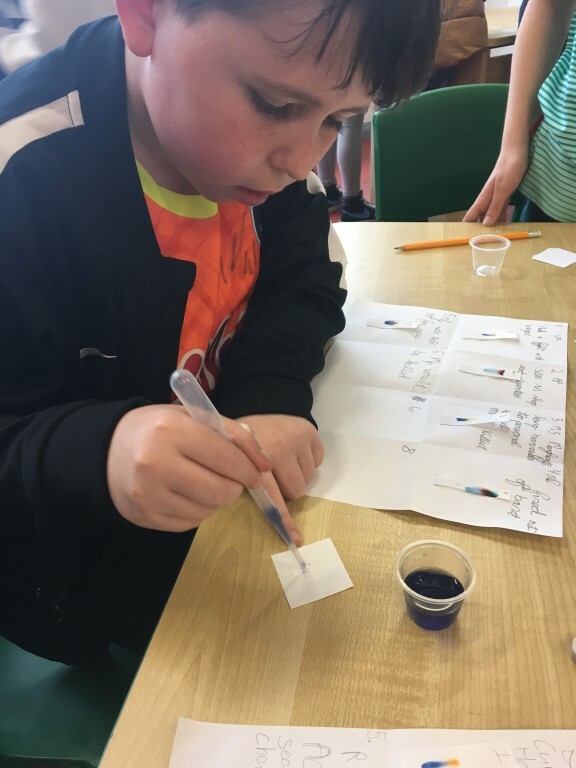 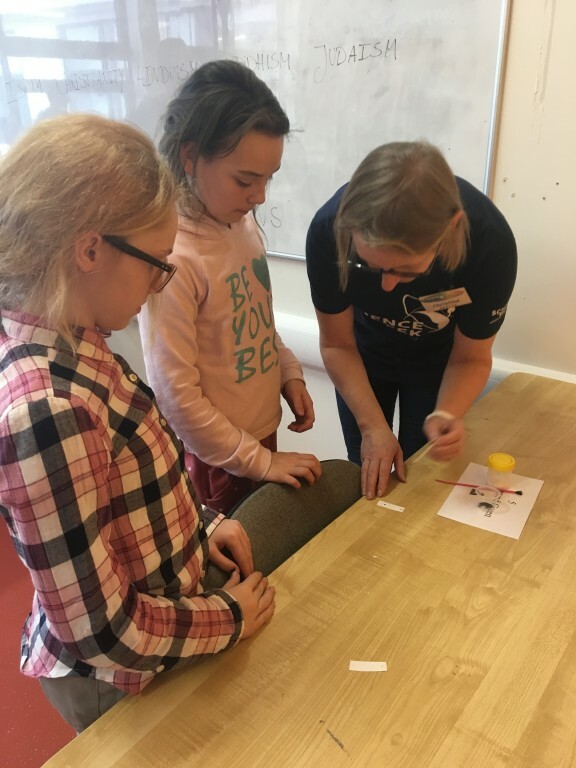 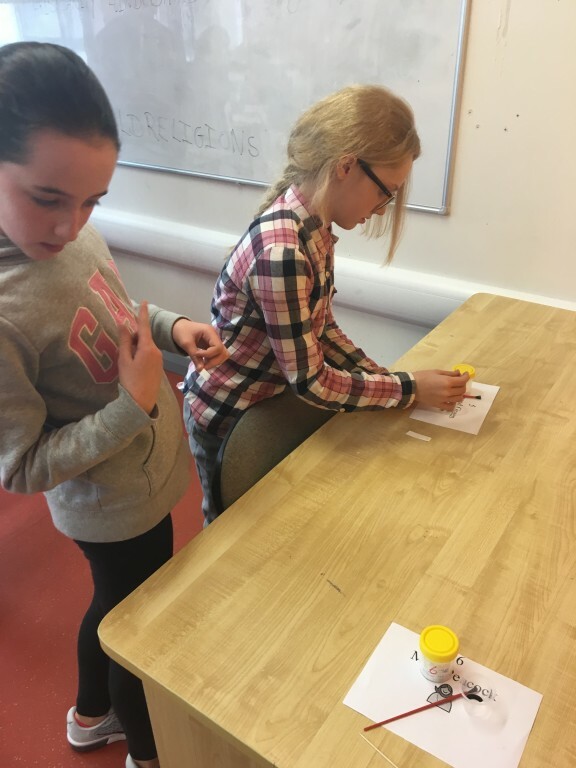 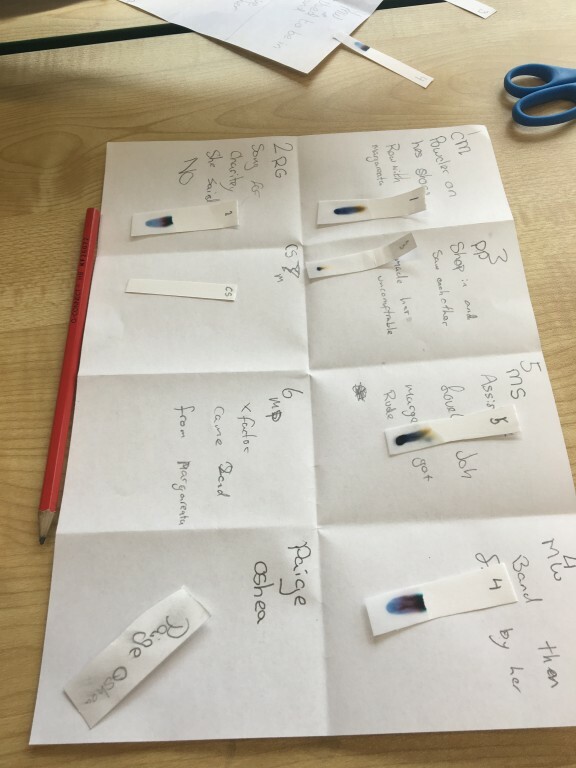 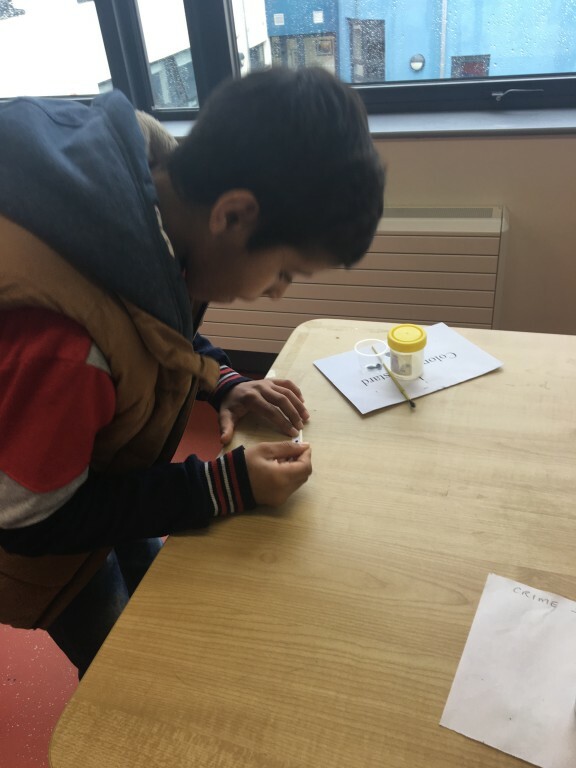 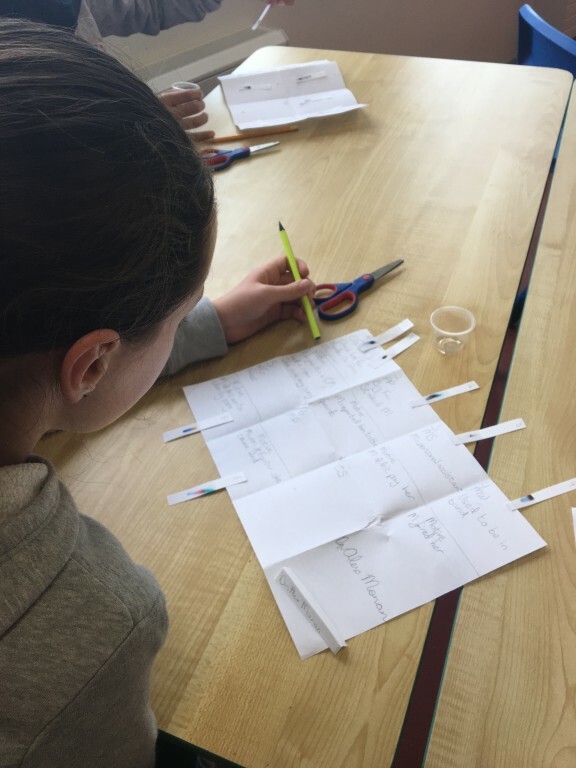 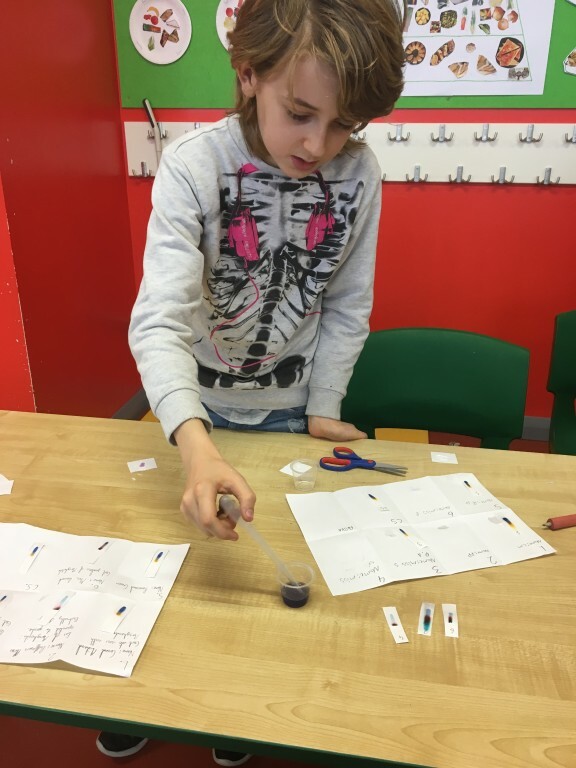 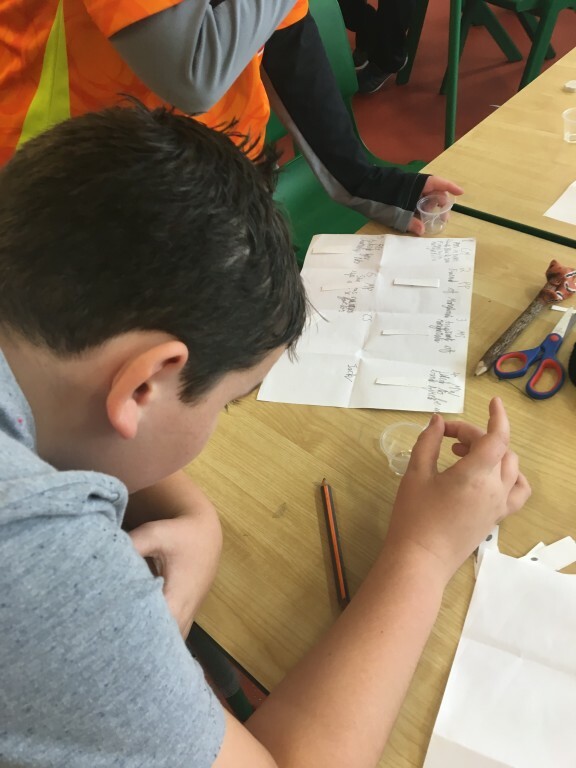 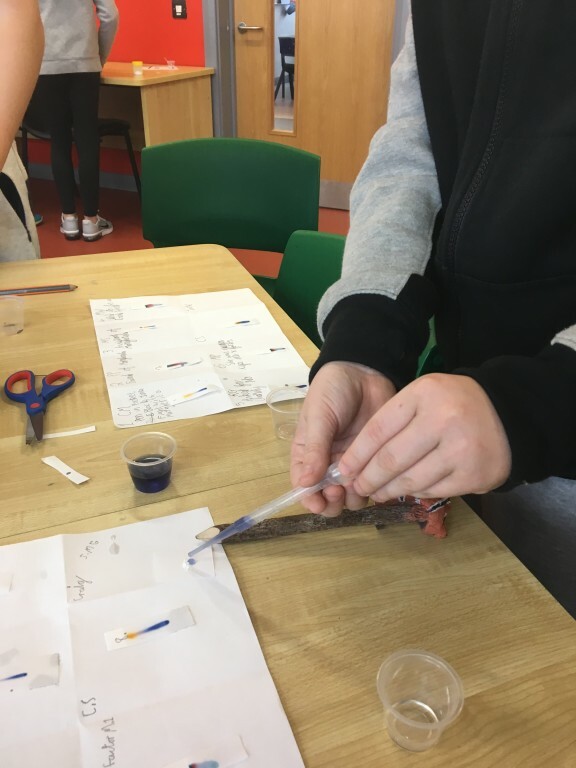 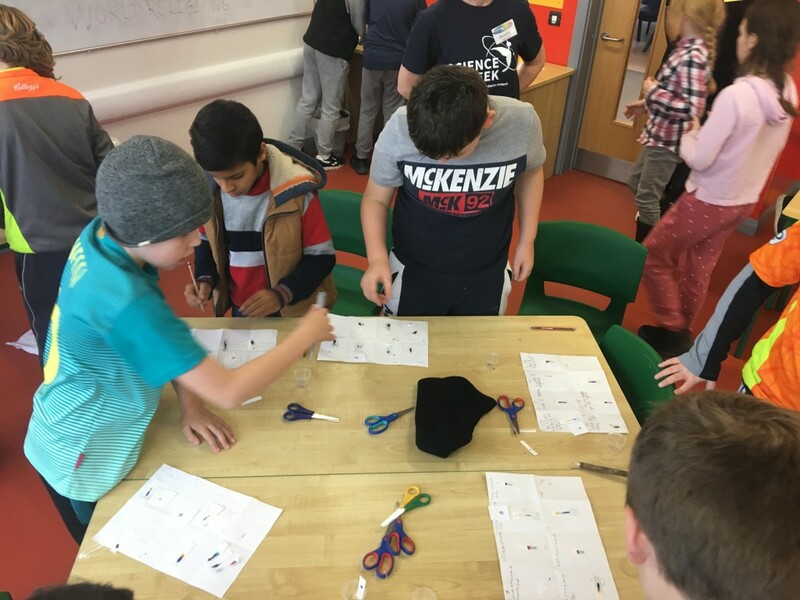 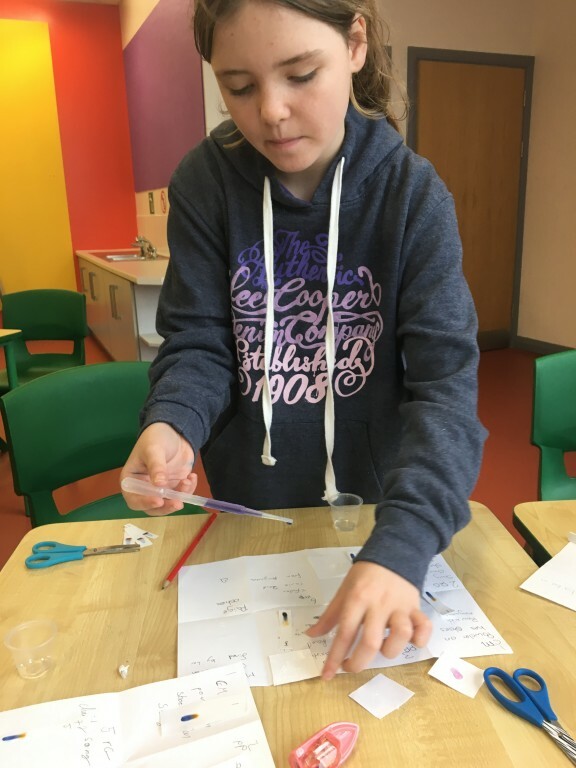 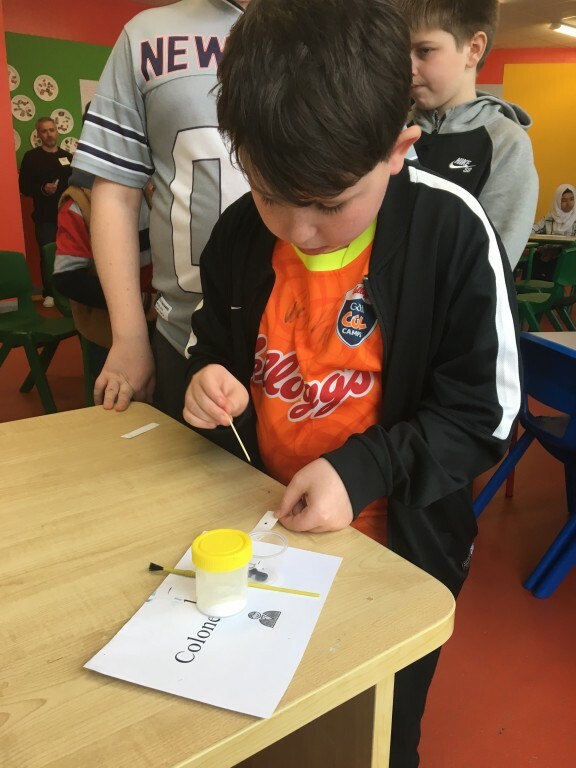 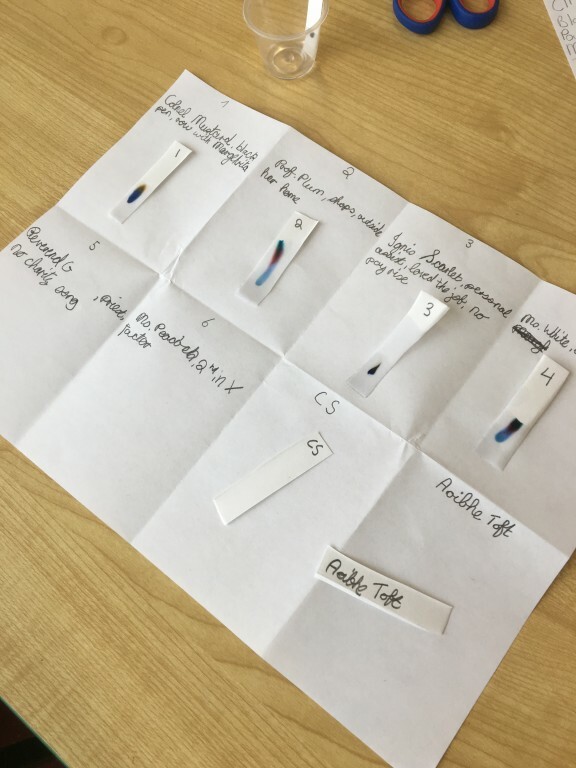 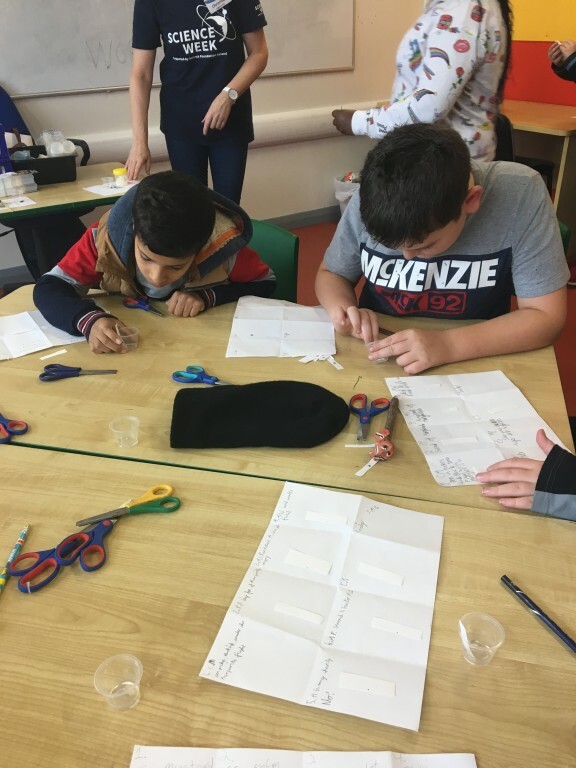 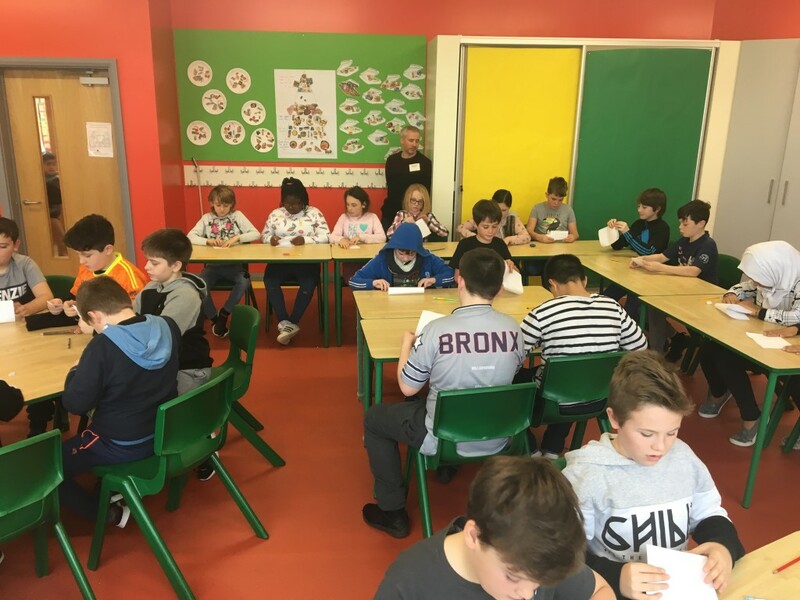 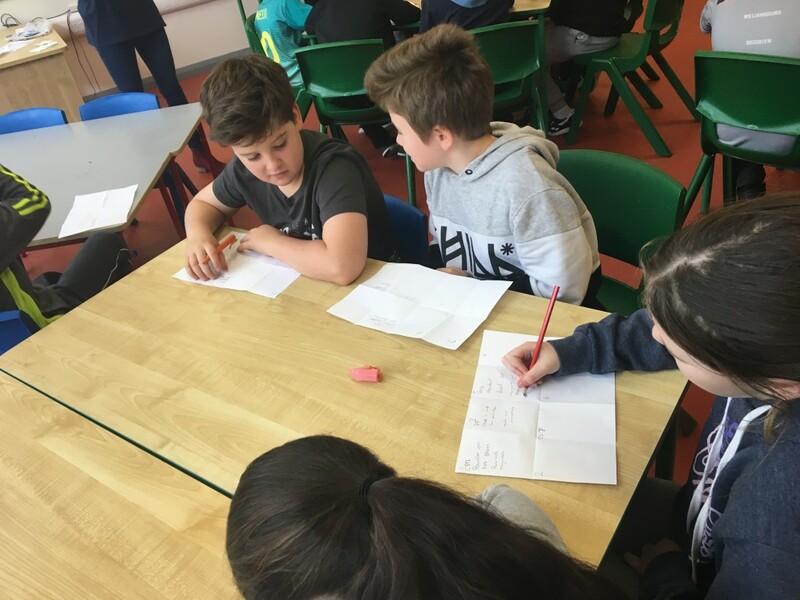 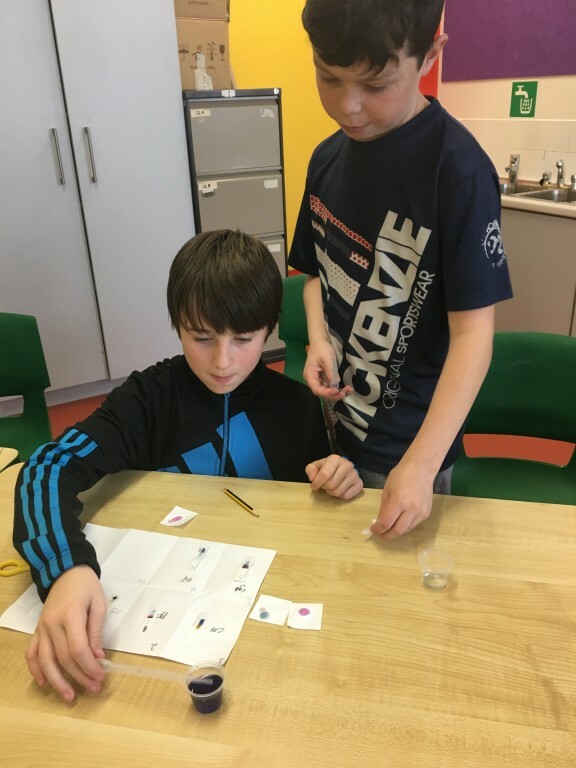 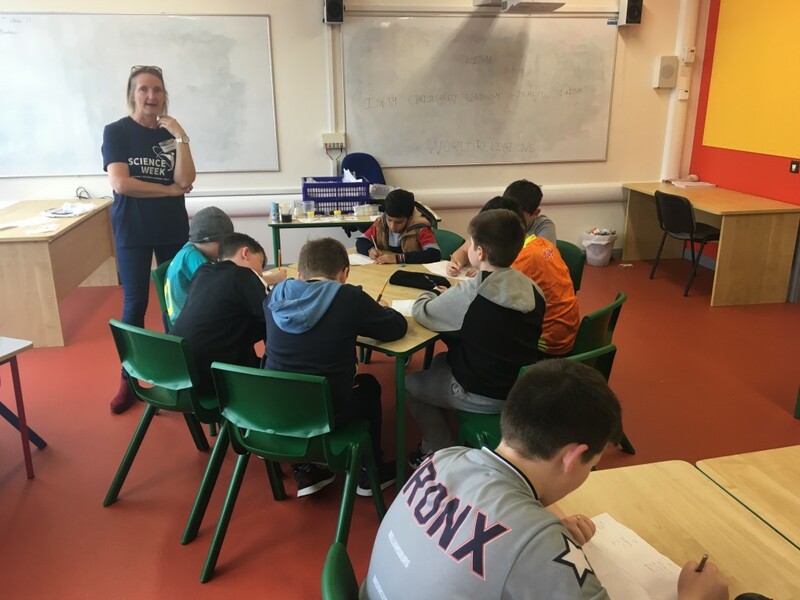 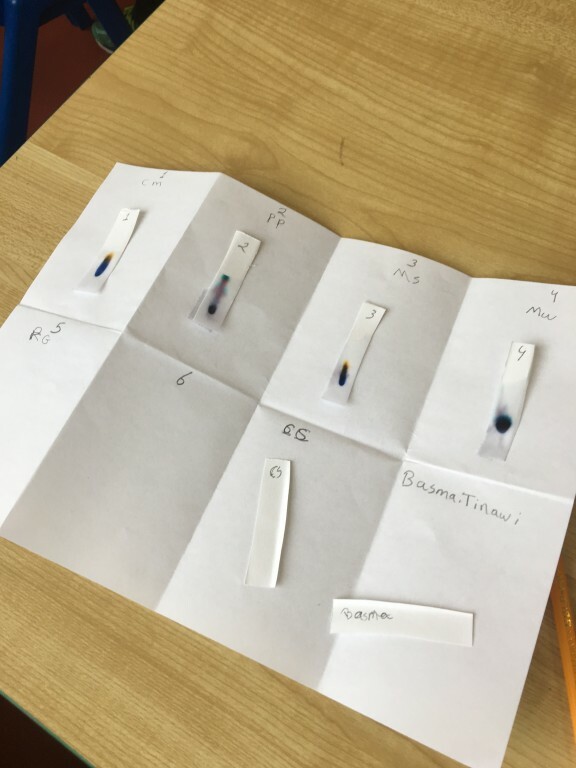 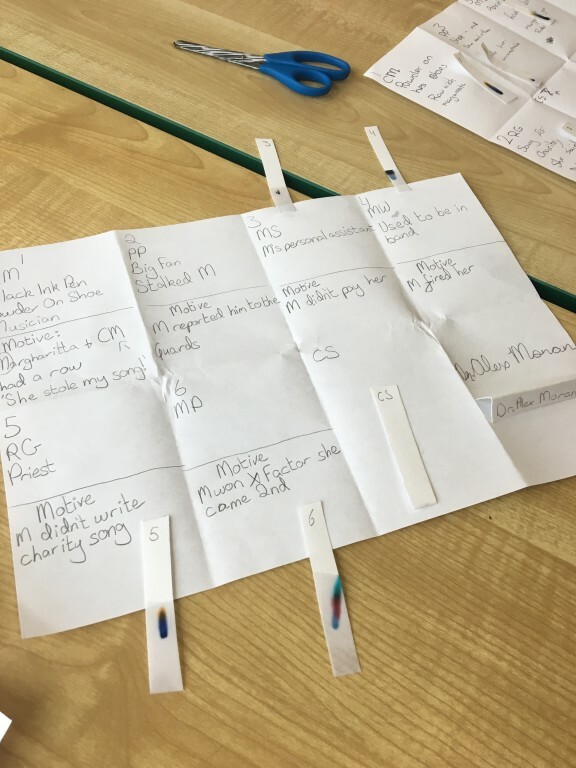 The children had to utilise their detective skills and uncover the murderer via chromatography, deduction and intuition. 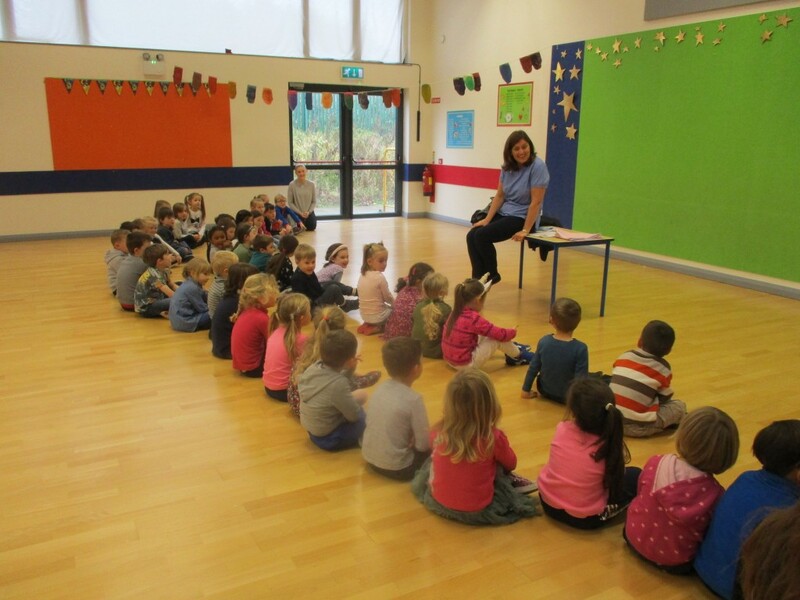 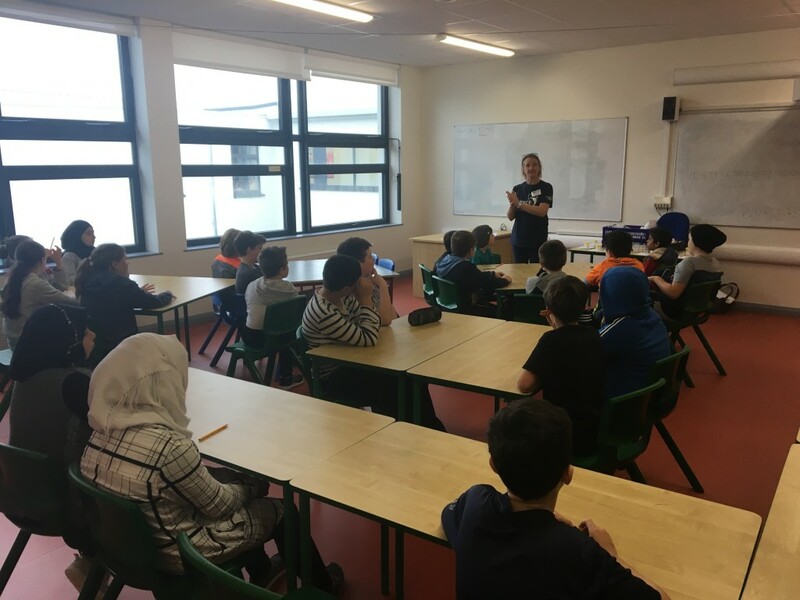 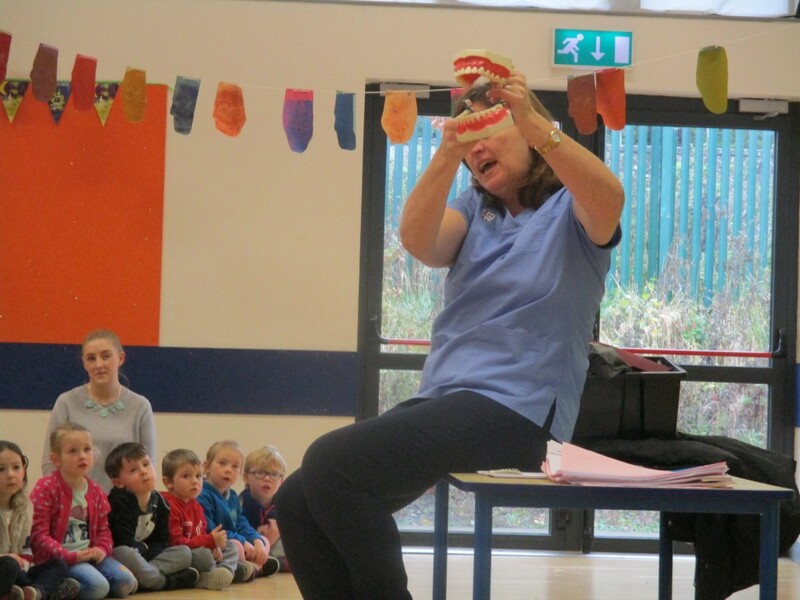 Aoife a dental nurse came into talk to all the classes in the school about dental care. 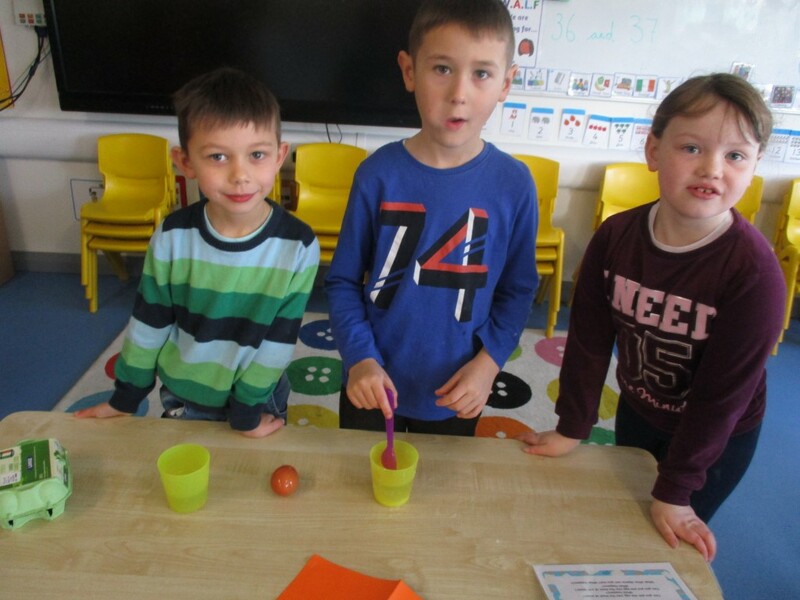 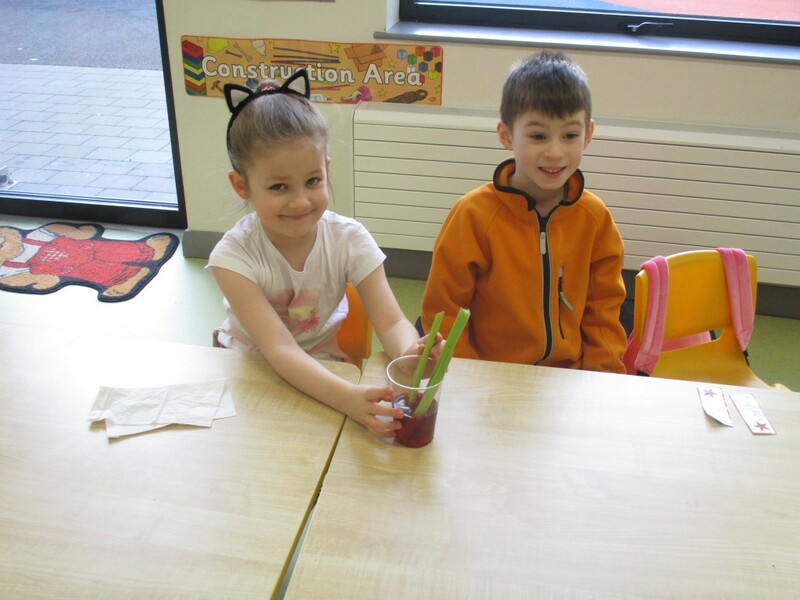 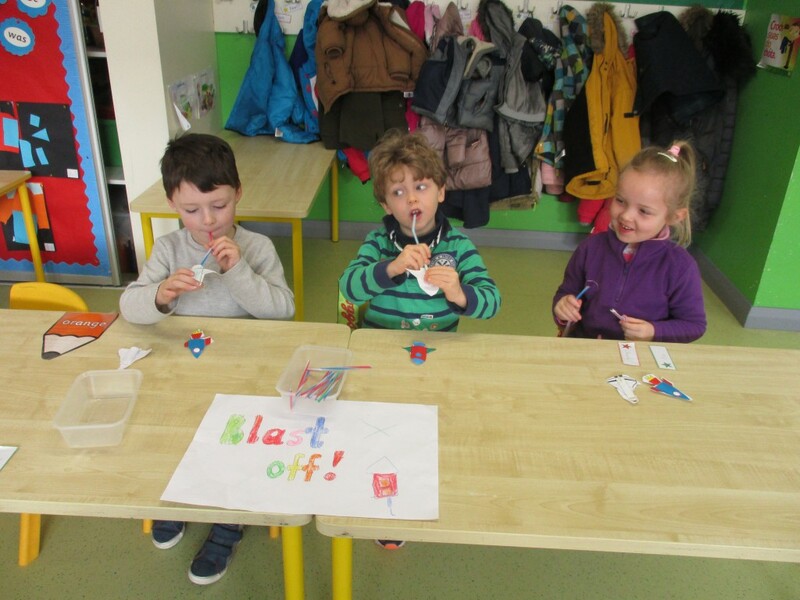 Everyone learned the correct way to brush their teeth and about healthy foods and drinks for teeth. 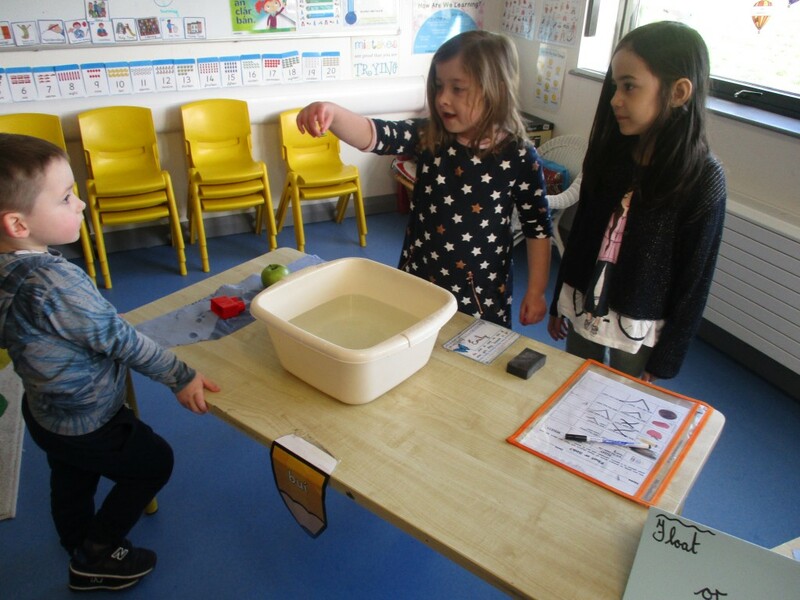 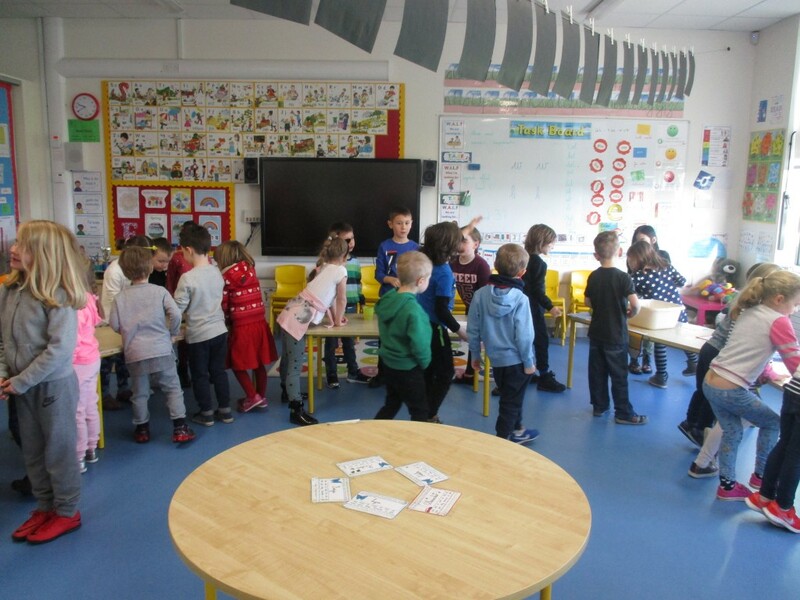 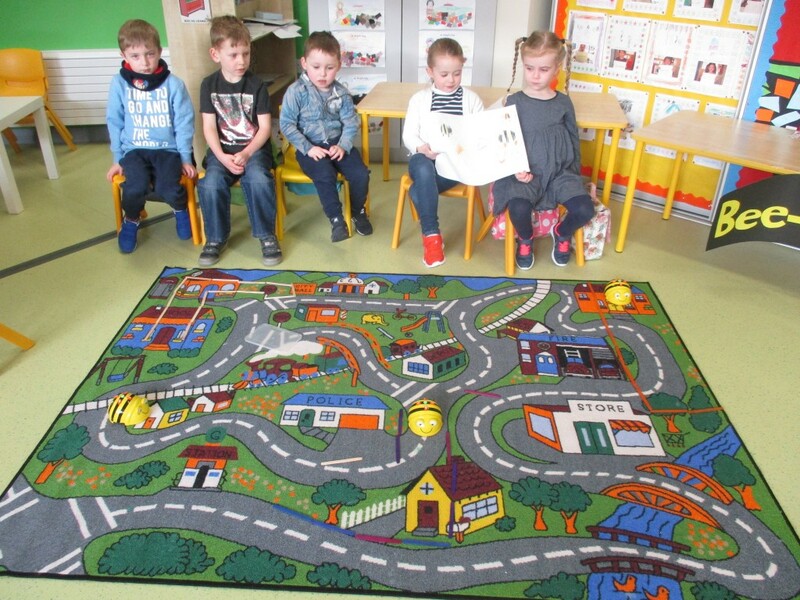 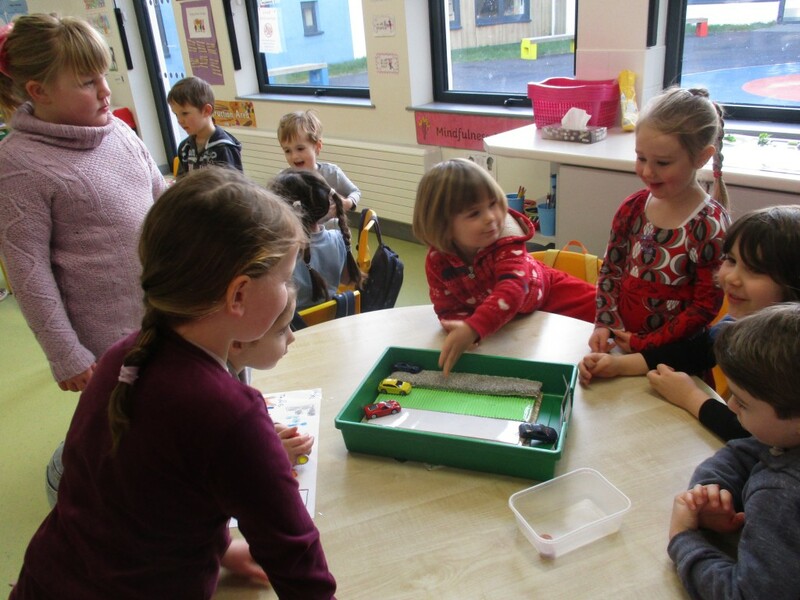 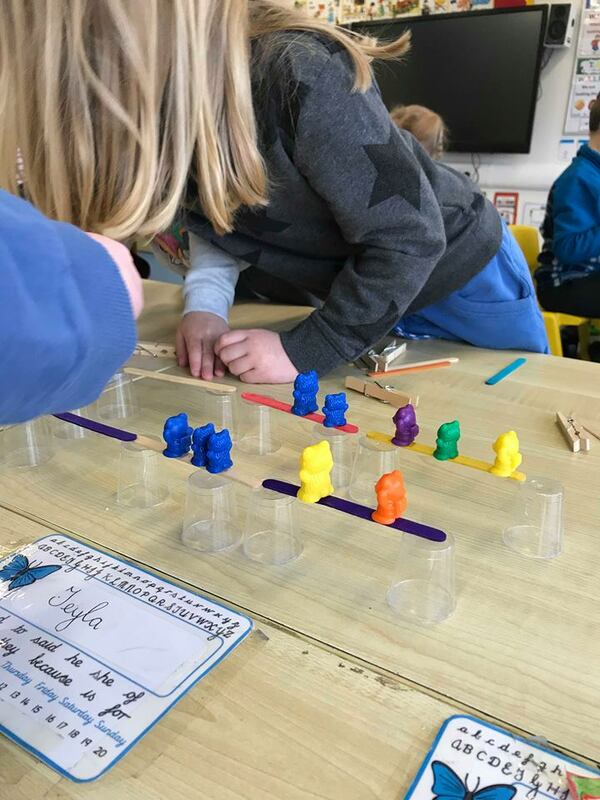 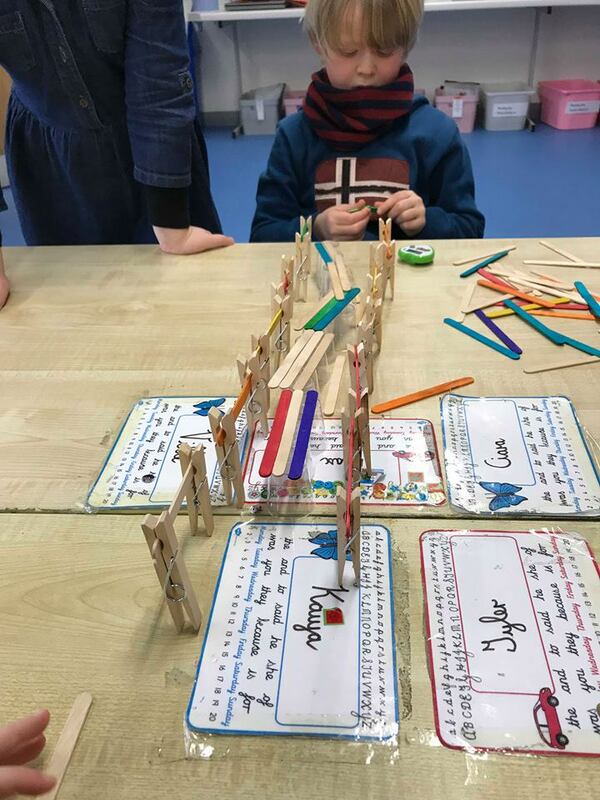 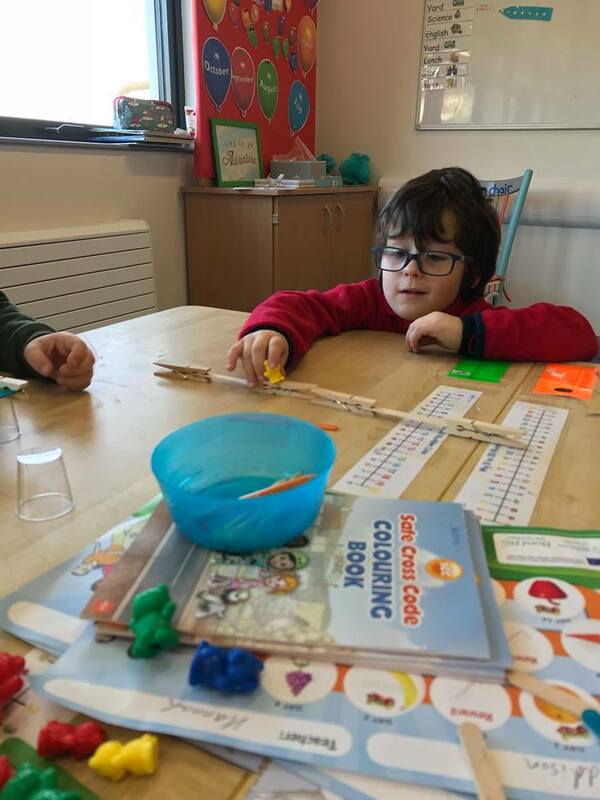 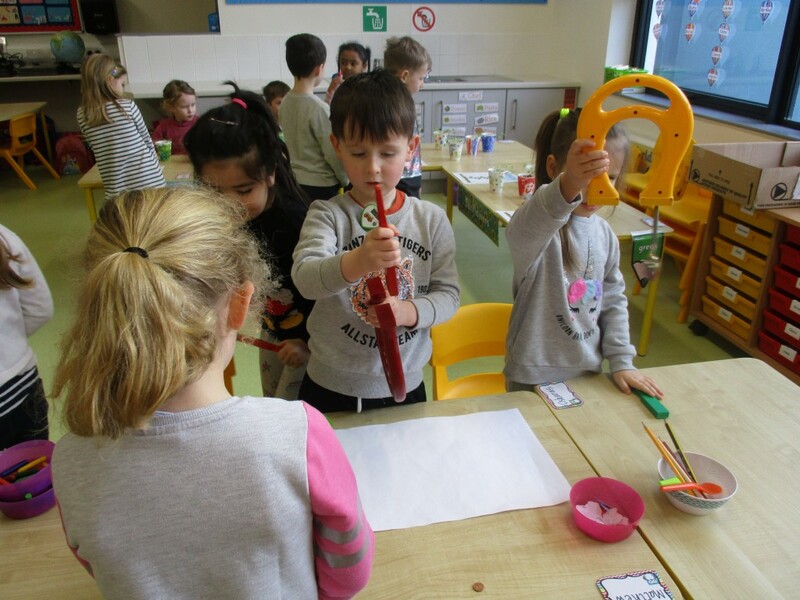 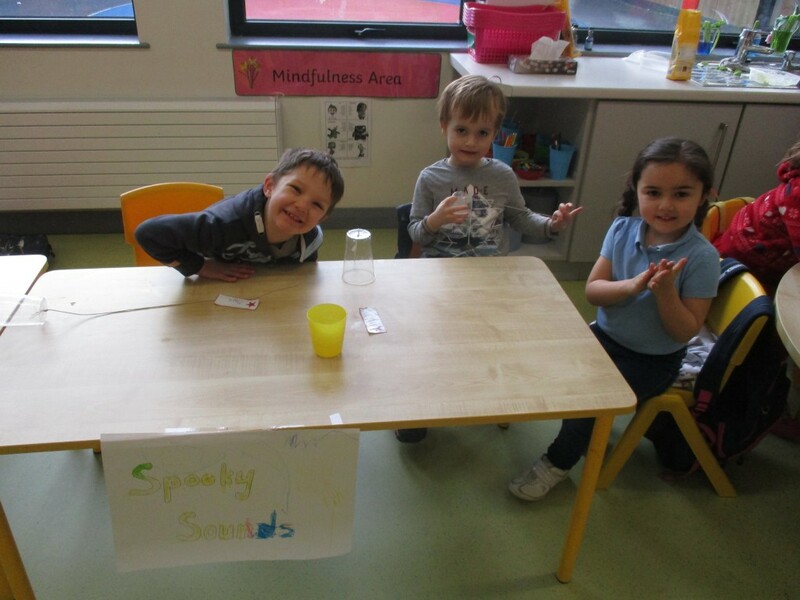 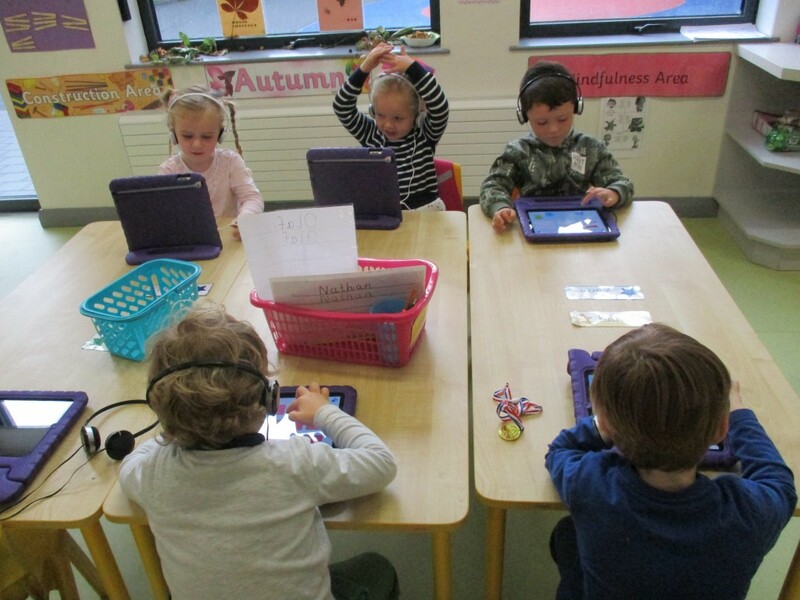 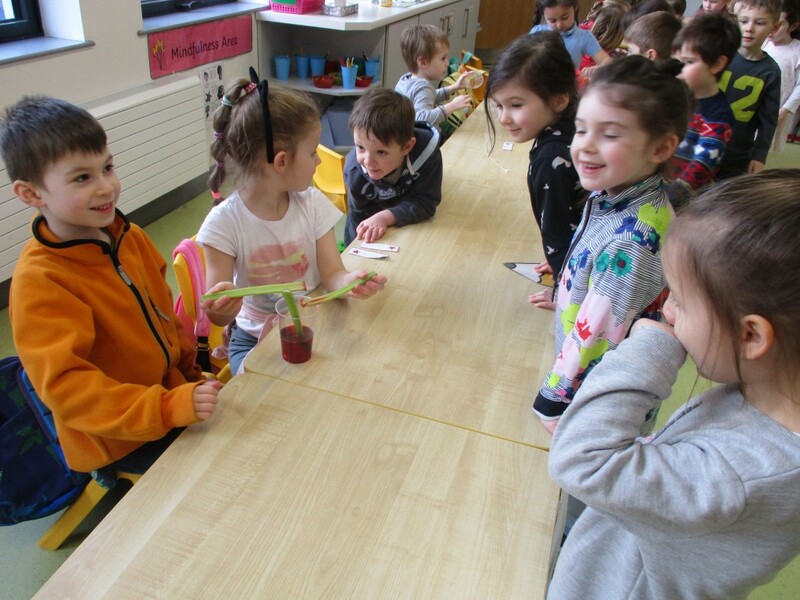 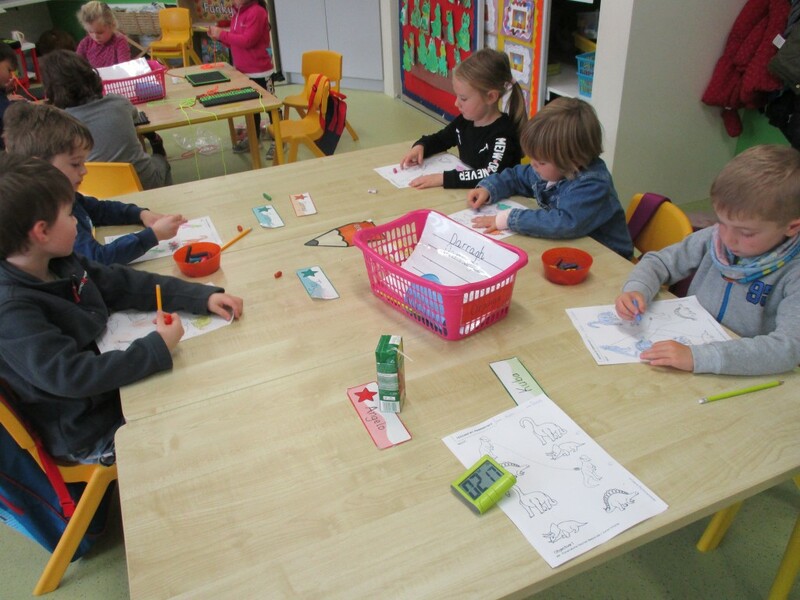 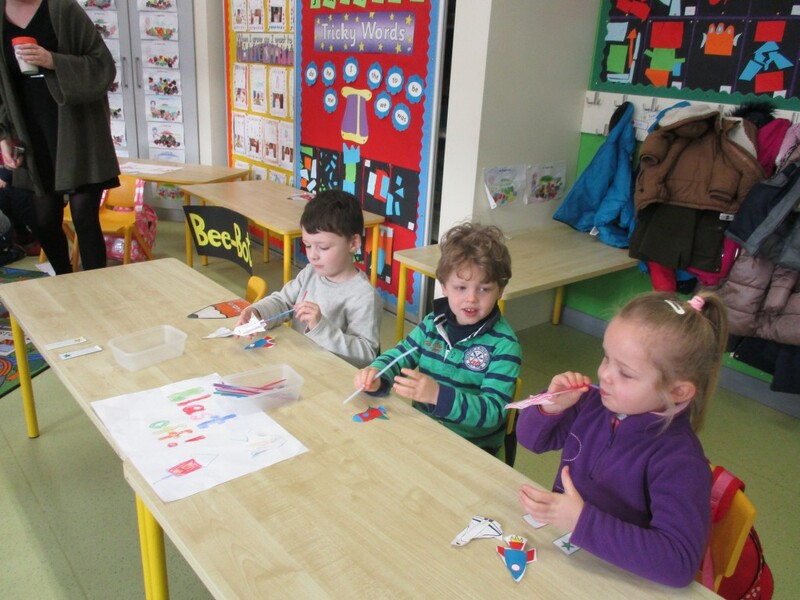 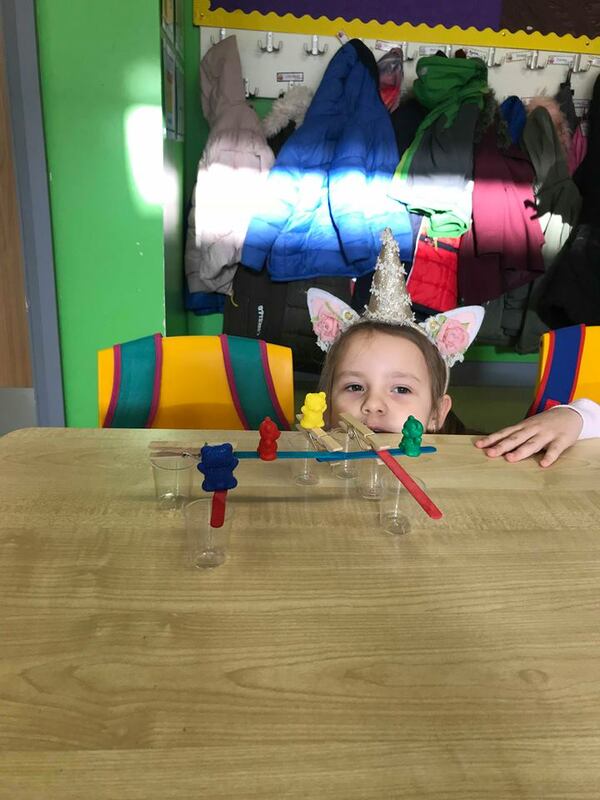 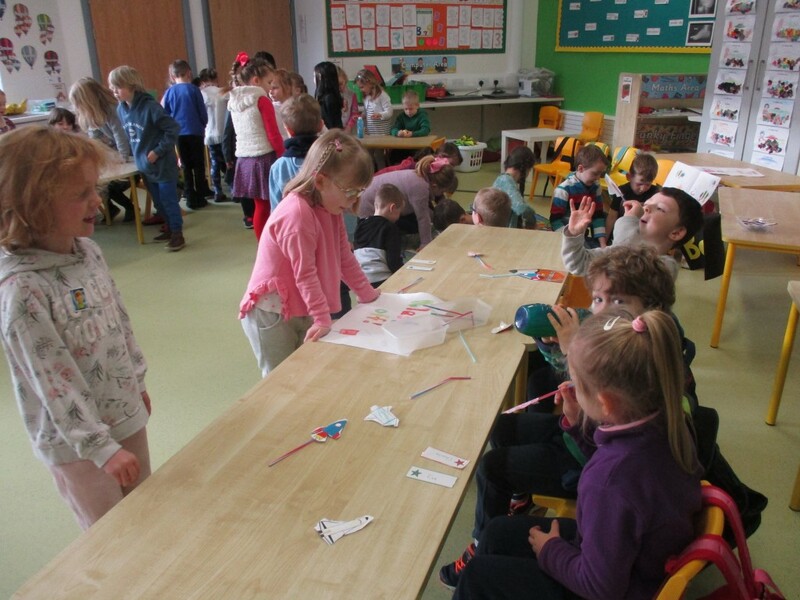 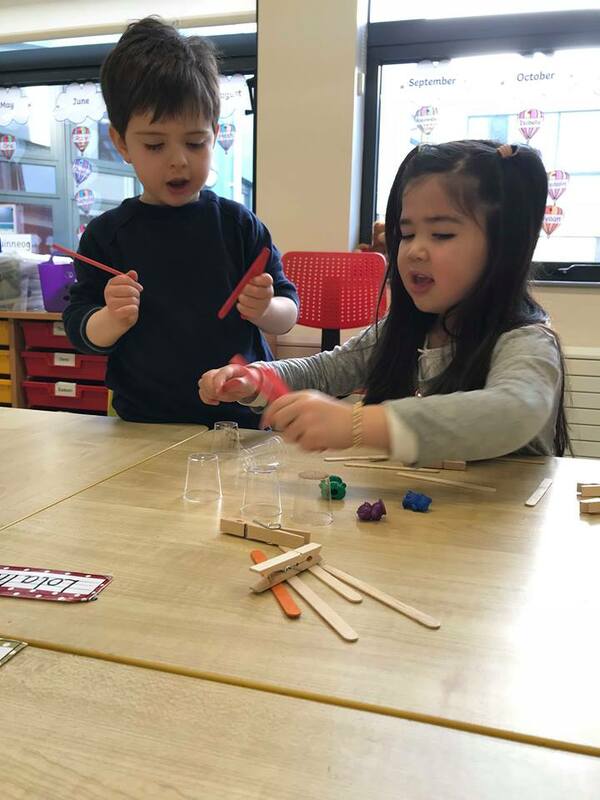 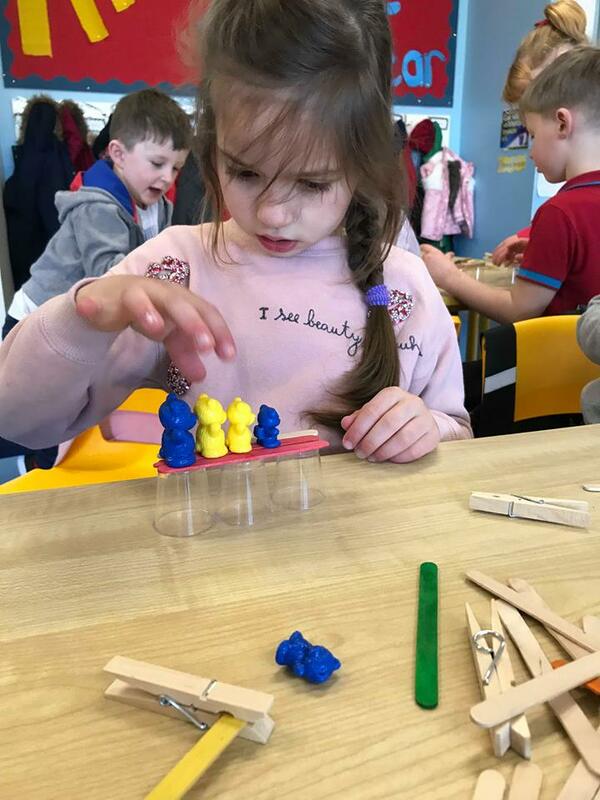 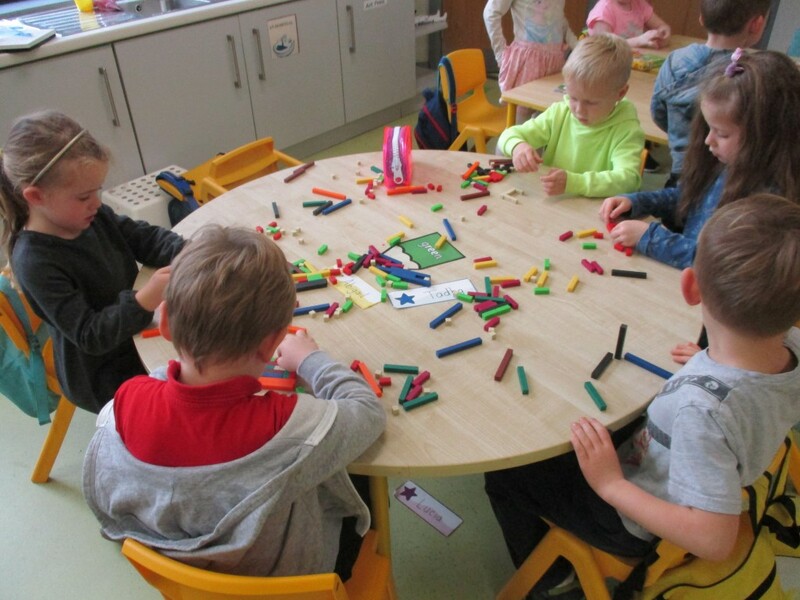 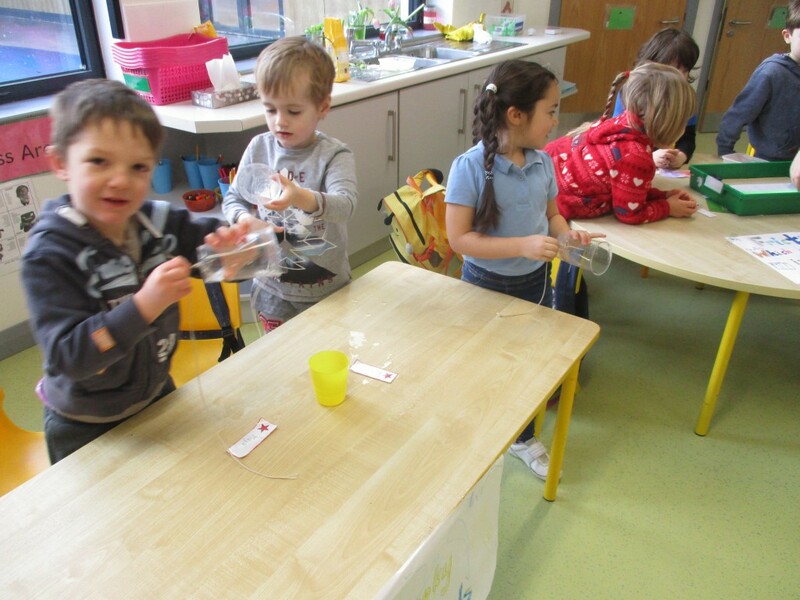 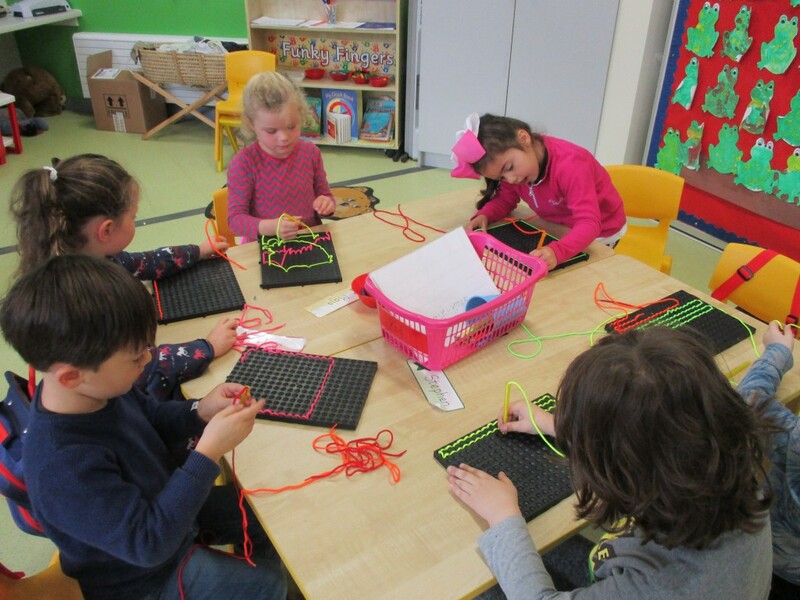 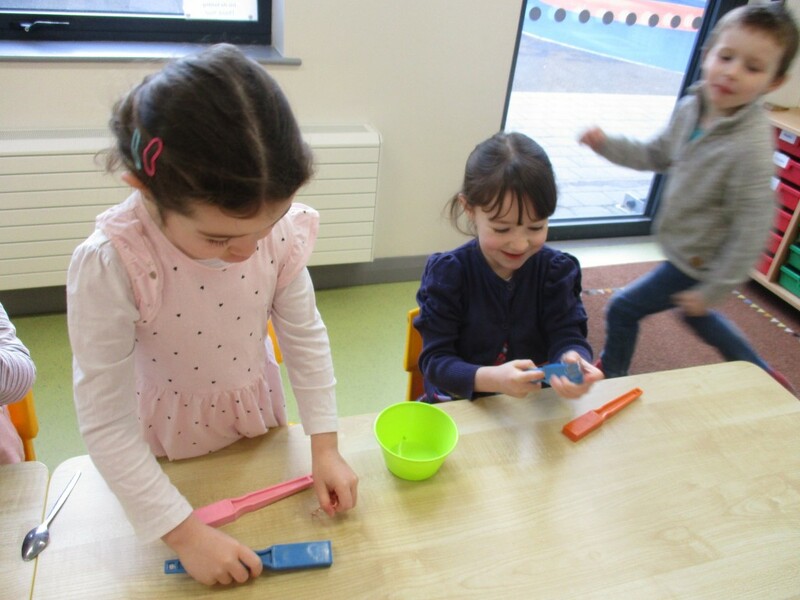 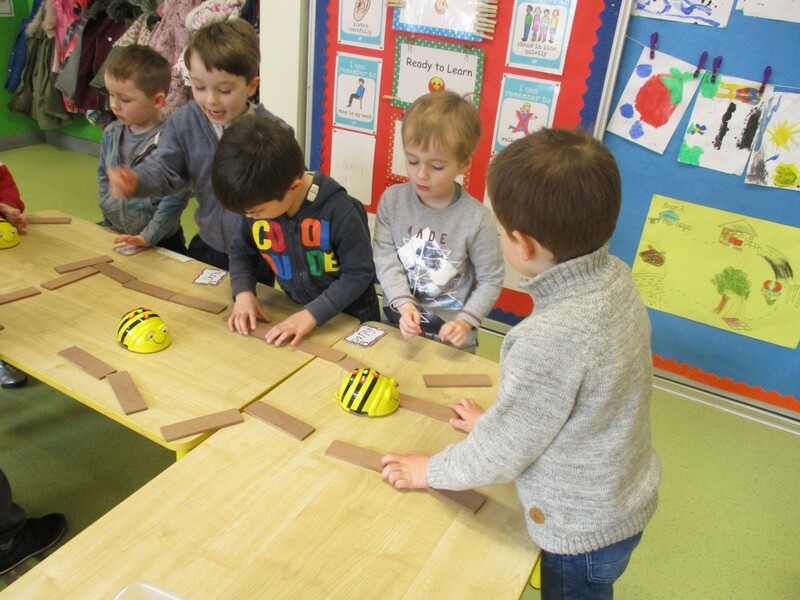 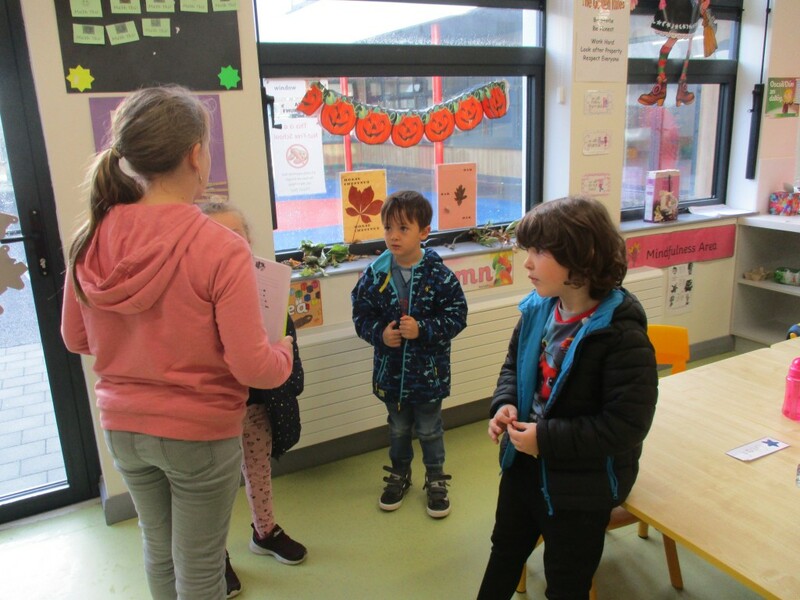 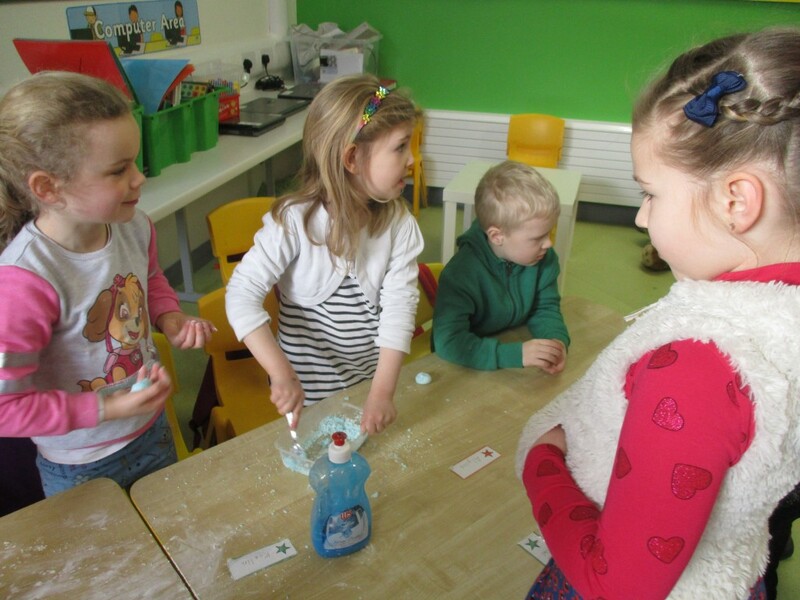 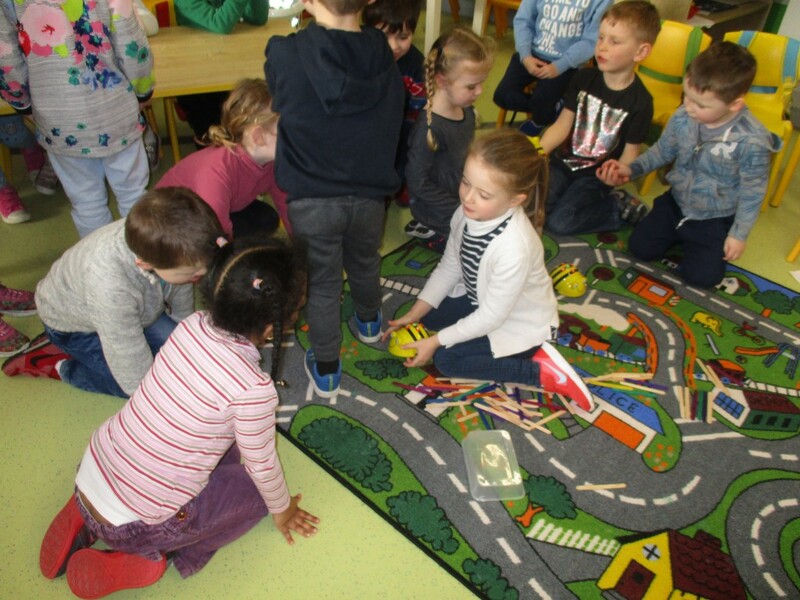 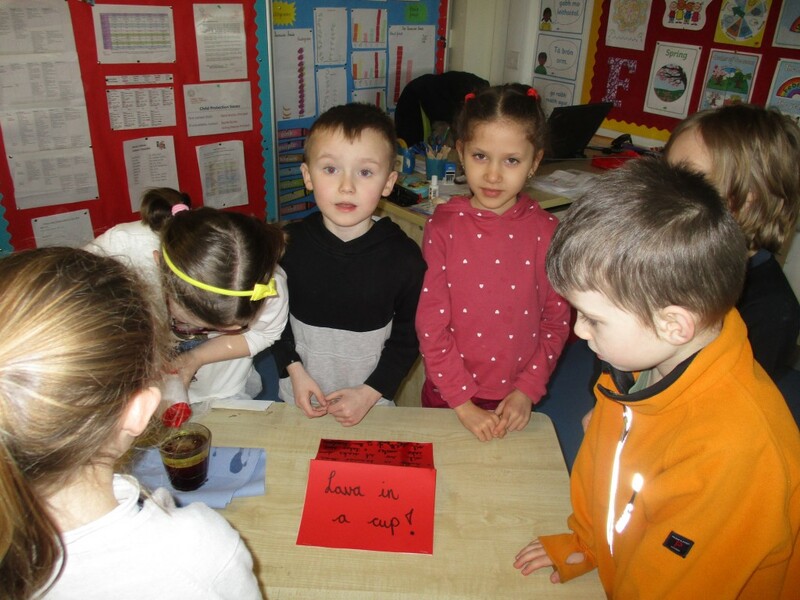 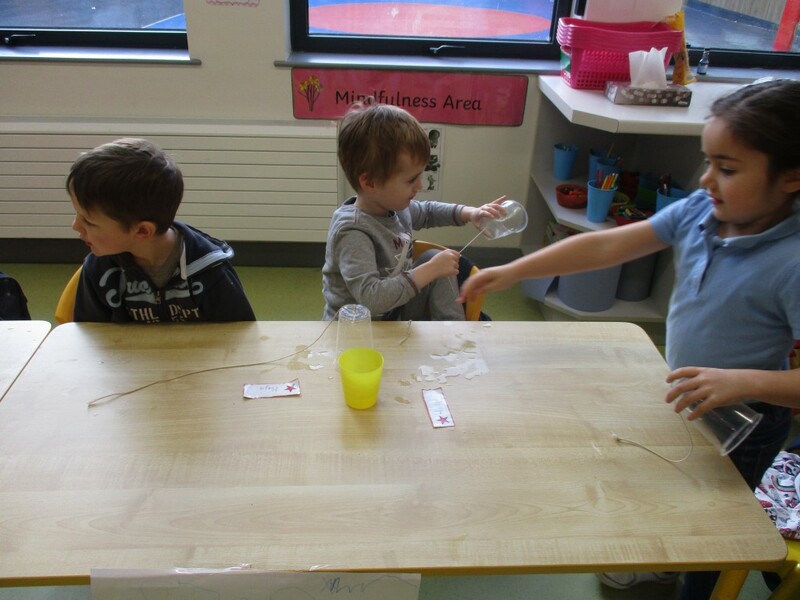 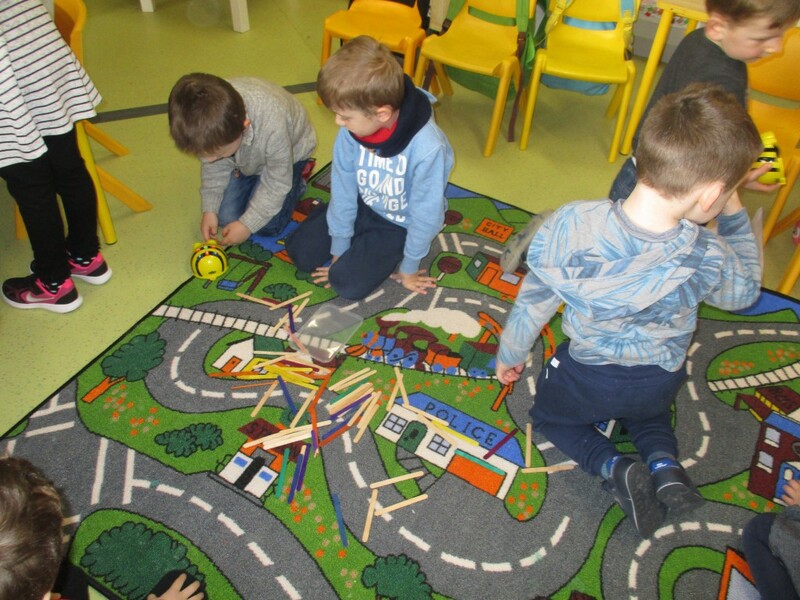 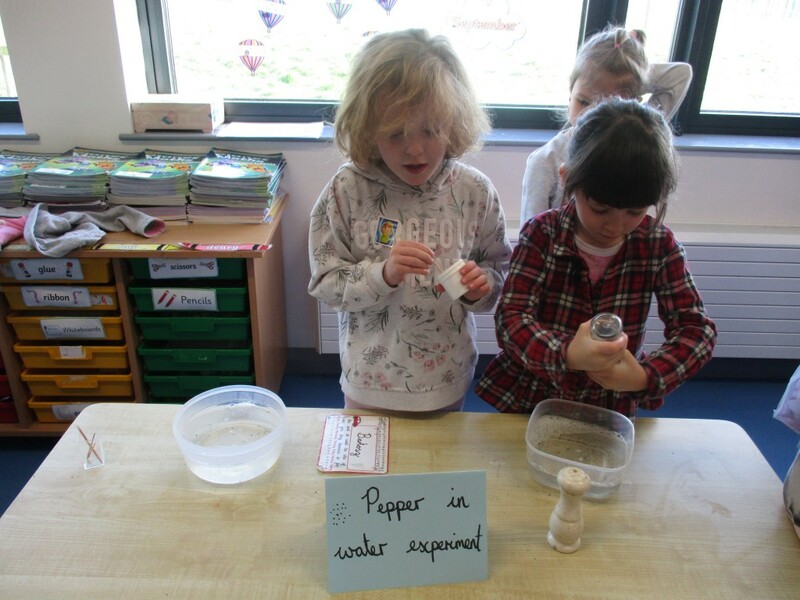 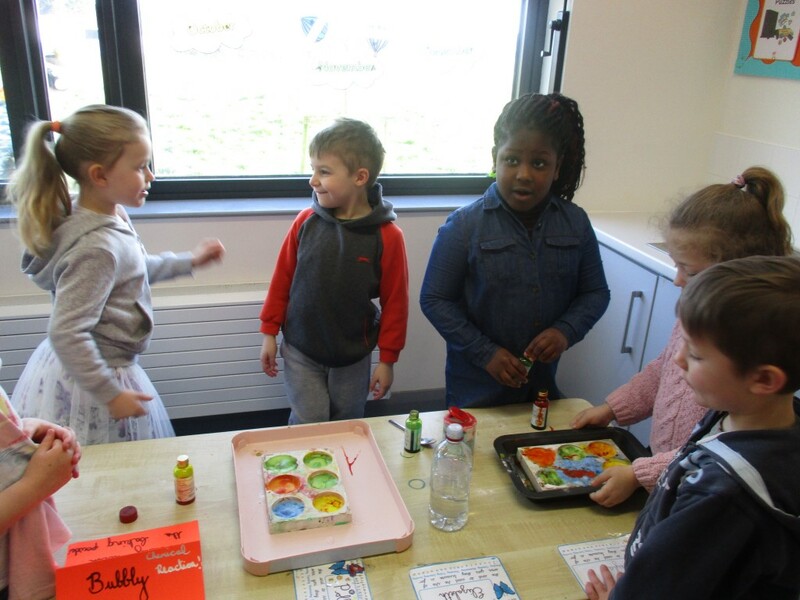 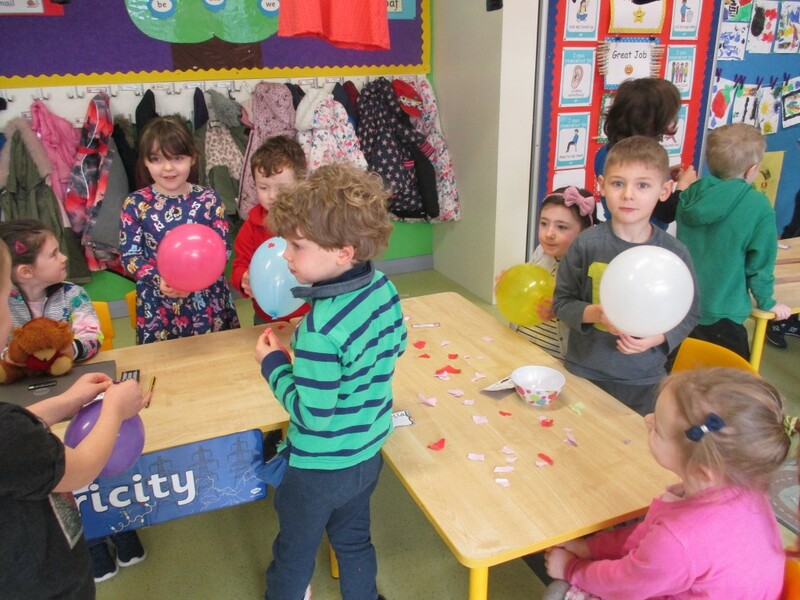 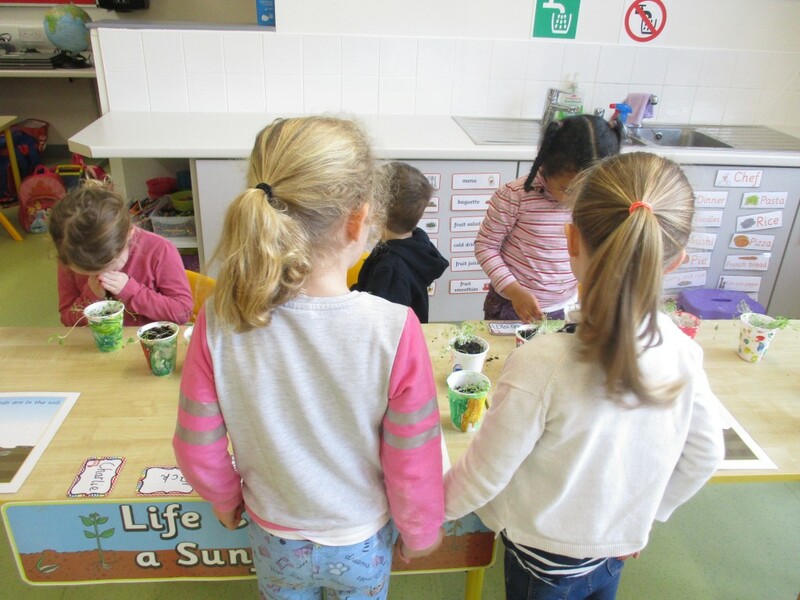 Junior Infants celebrated Maths Week and enjoyed lots of Maths games and activities. 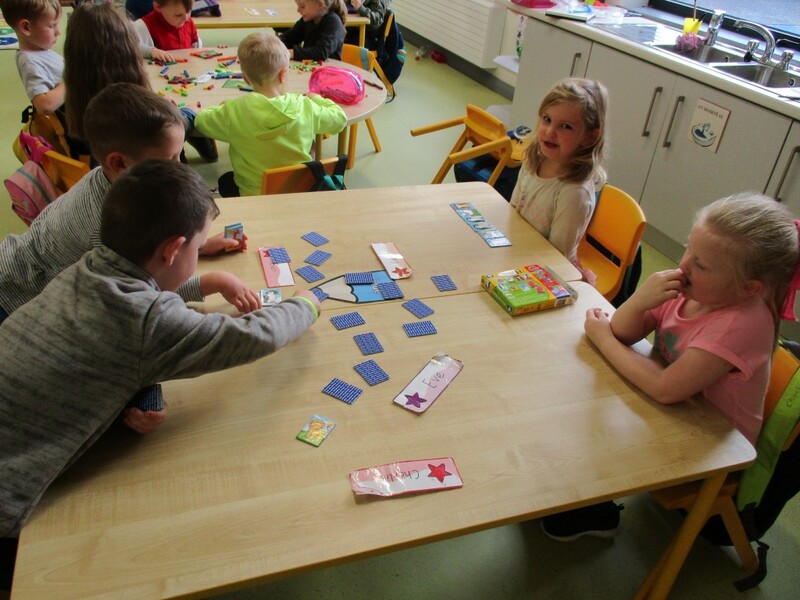 We played matching and sorting games on the I-pads, we made shapes and played matching card games. 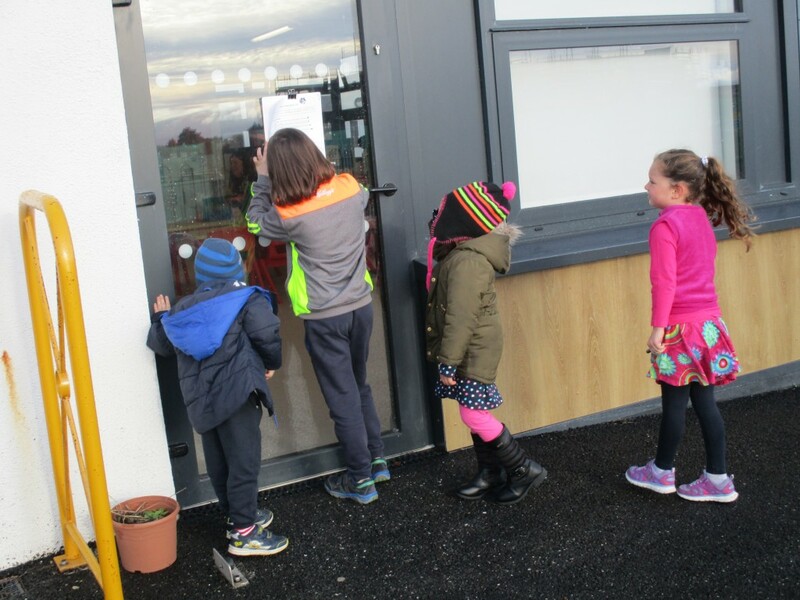 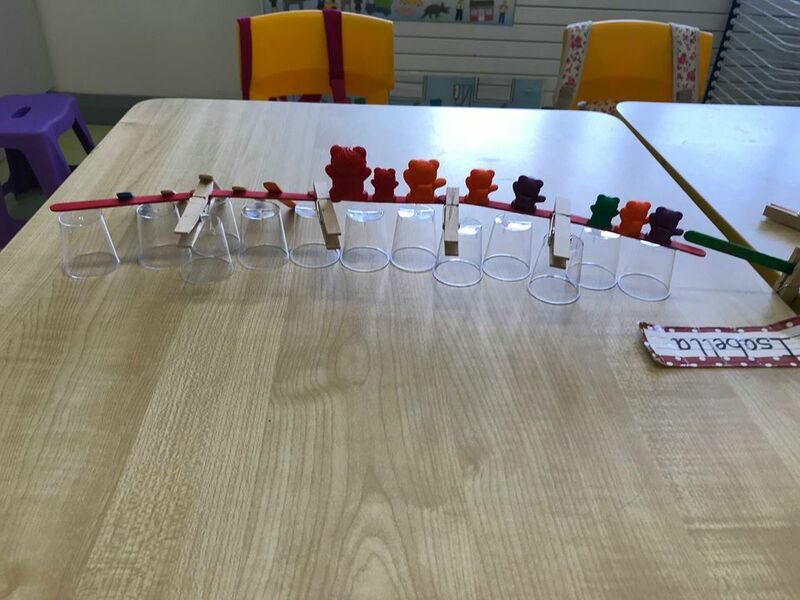 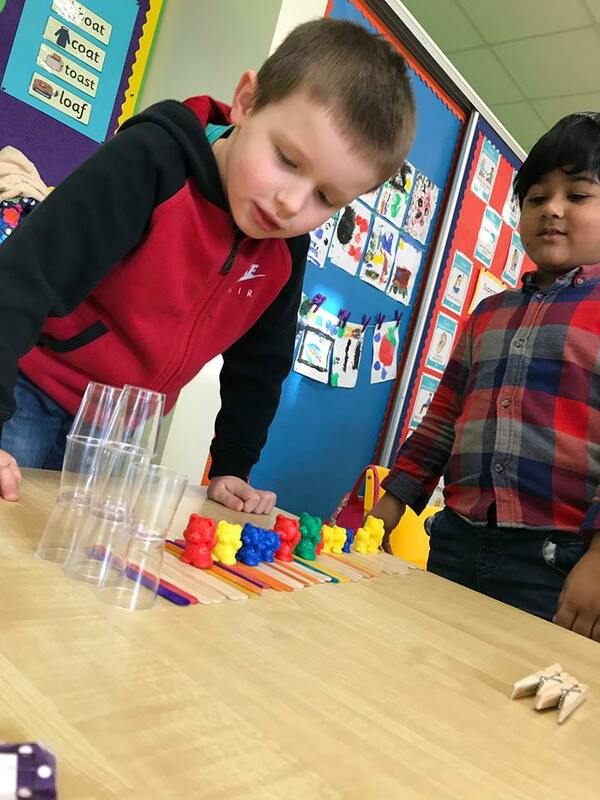 We have been looking out for numbers and shapes all around us. 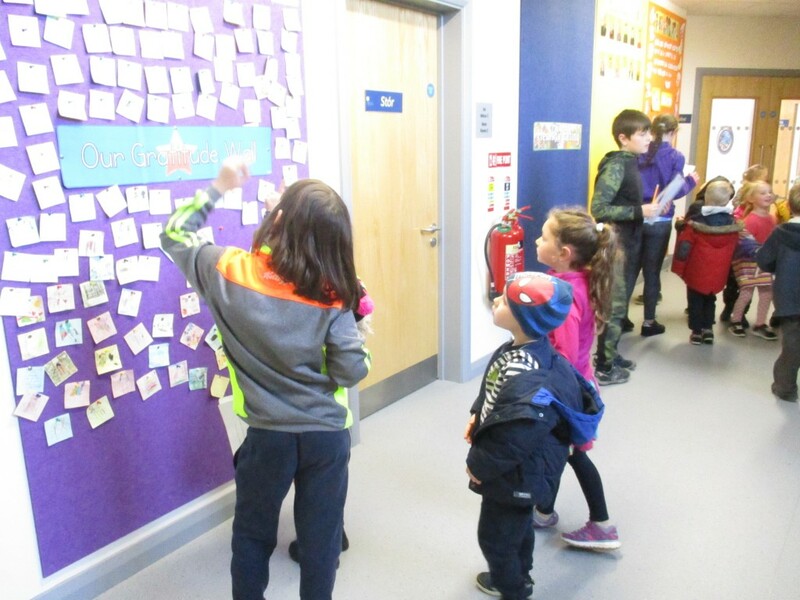 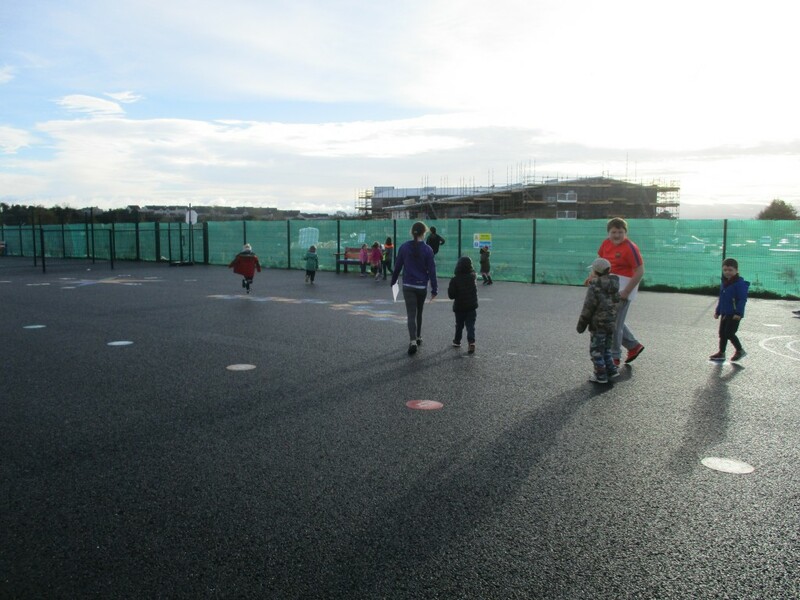 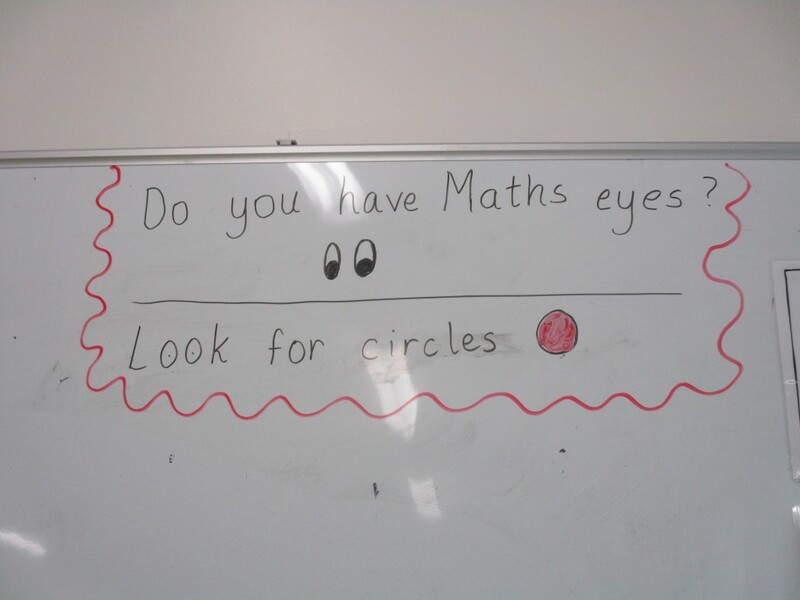 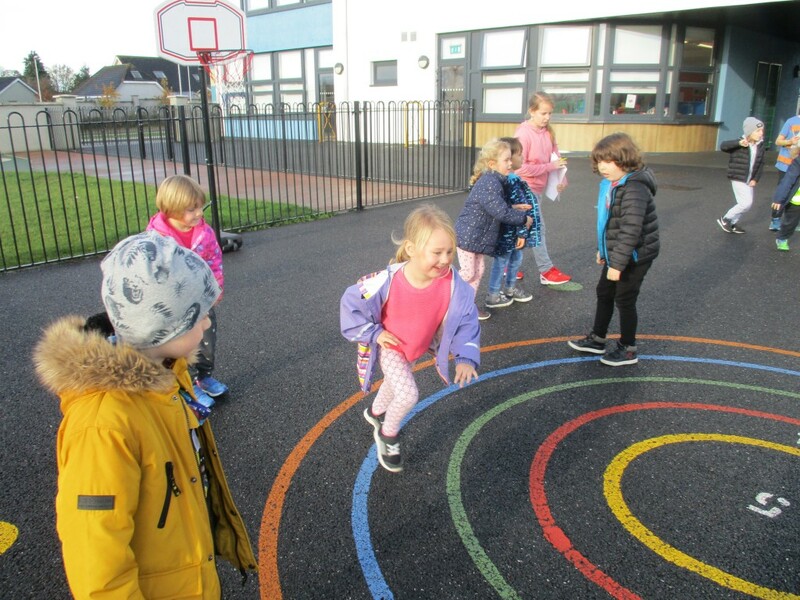 We really enjoyed using our Maths eyes finding shapes and counting on a Maths trail around the school. 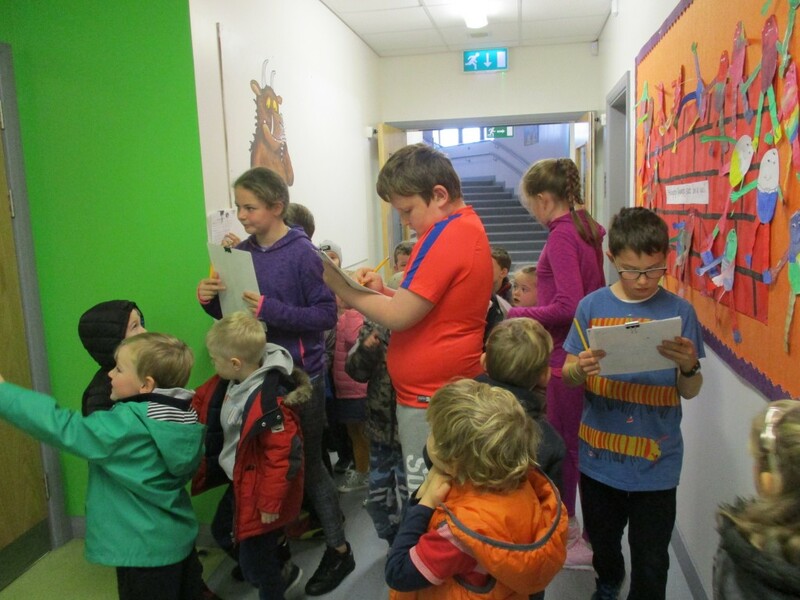 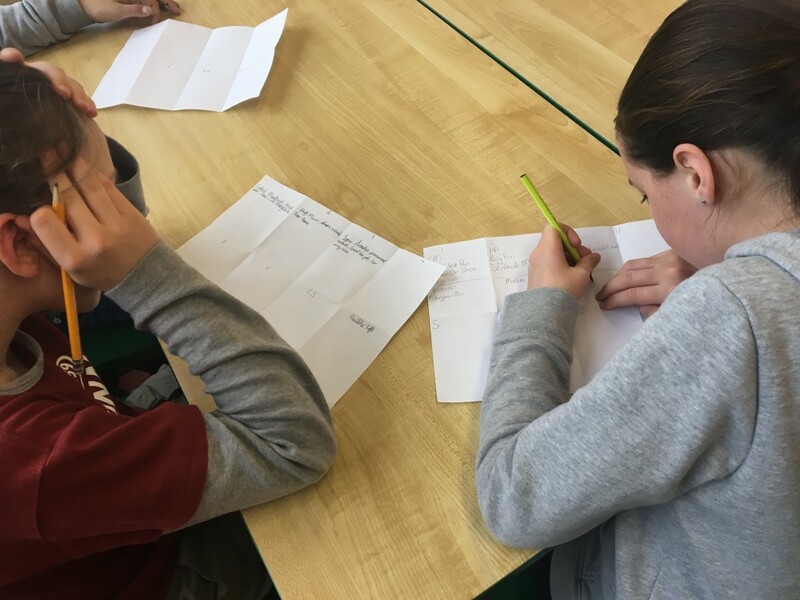 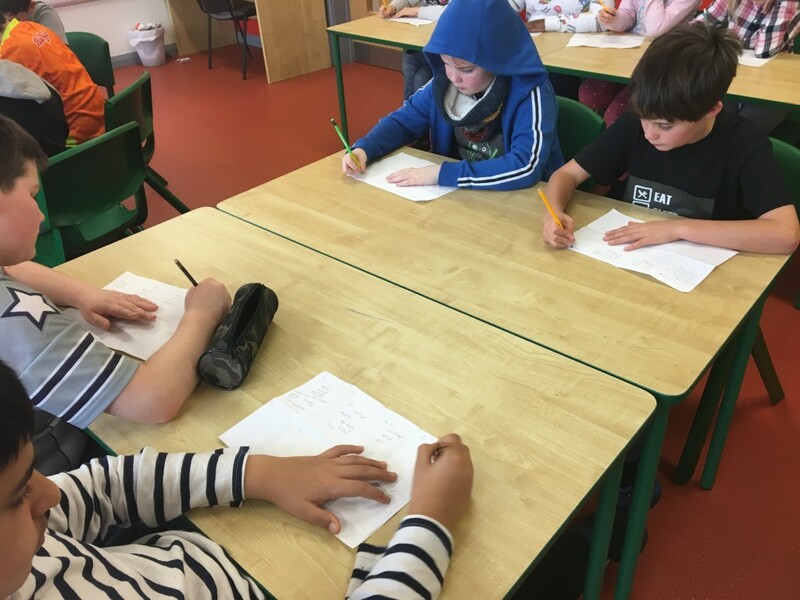 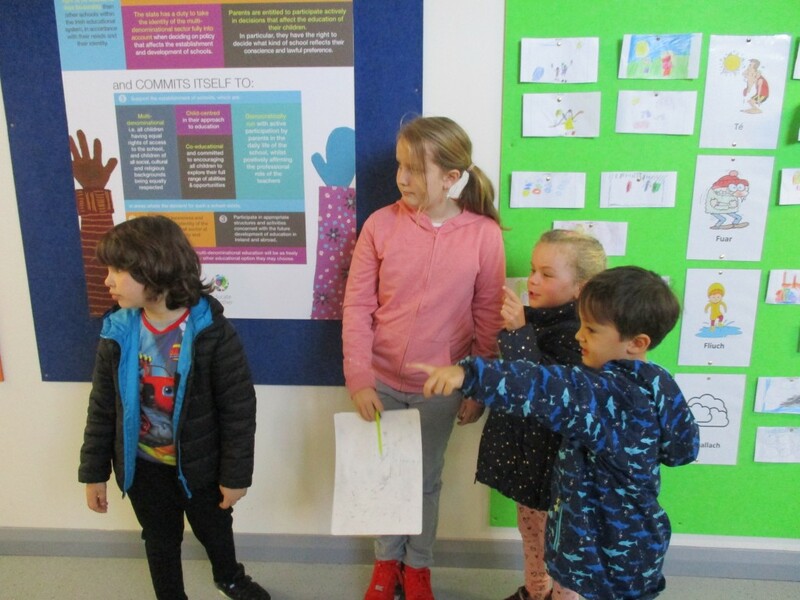 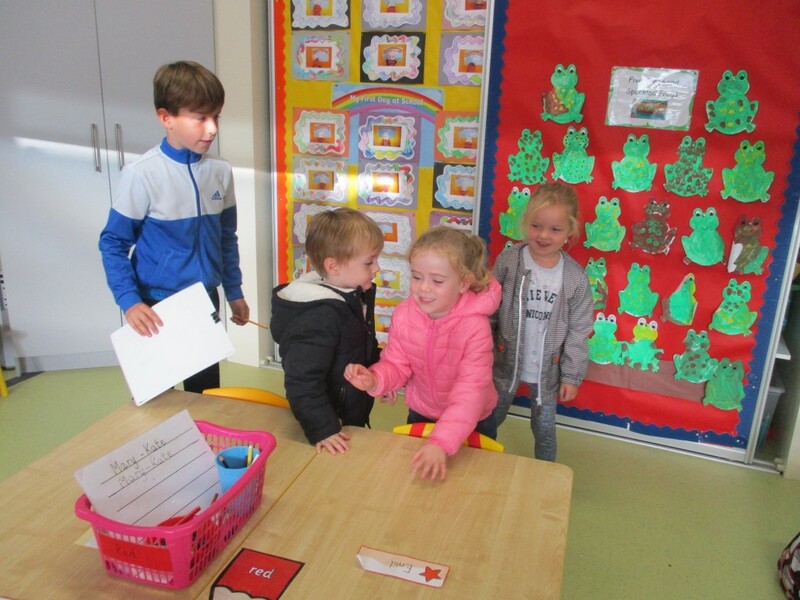 Thanks to Andrew’s Fourth class for helping us with our Maths trail! 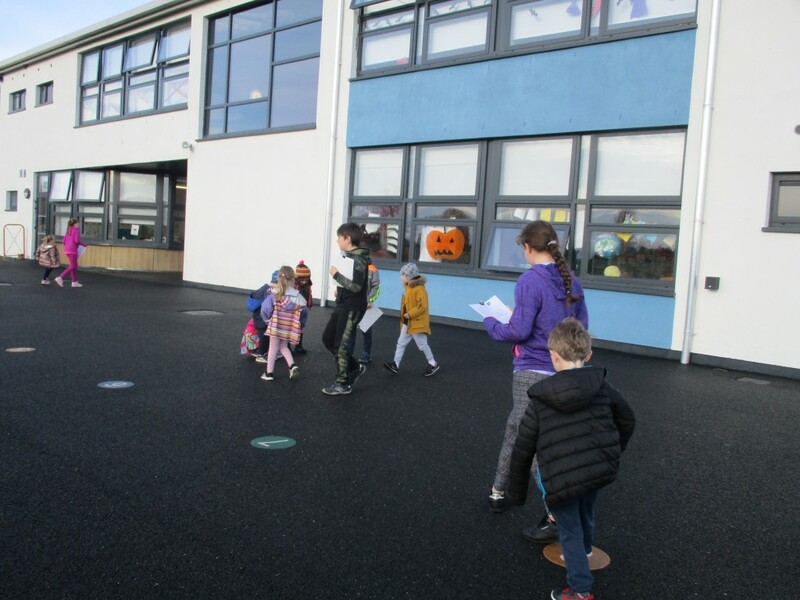 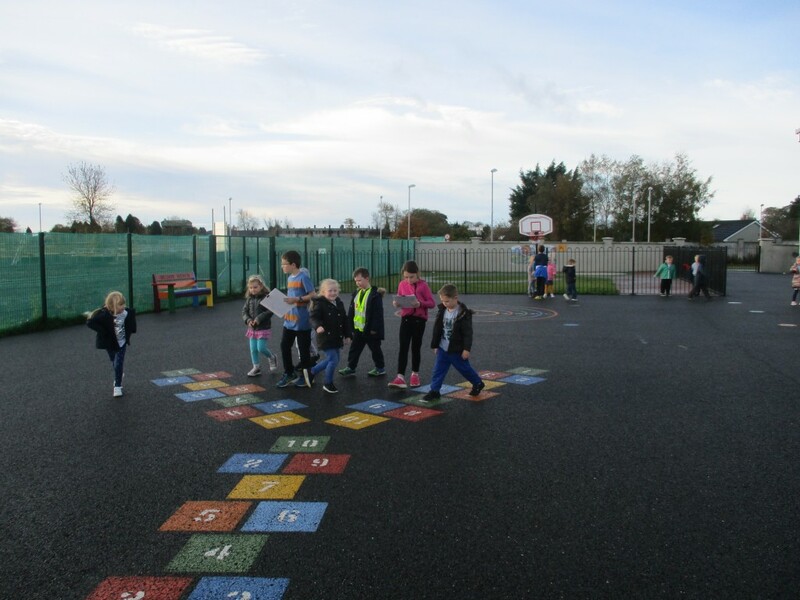 Junior Infants celebrated National Tree Day on Thursday 5th October. 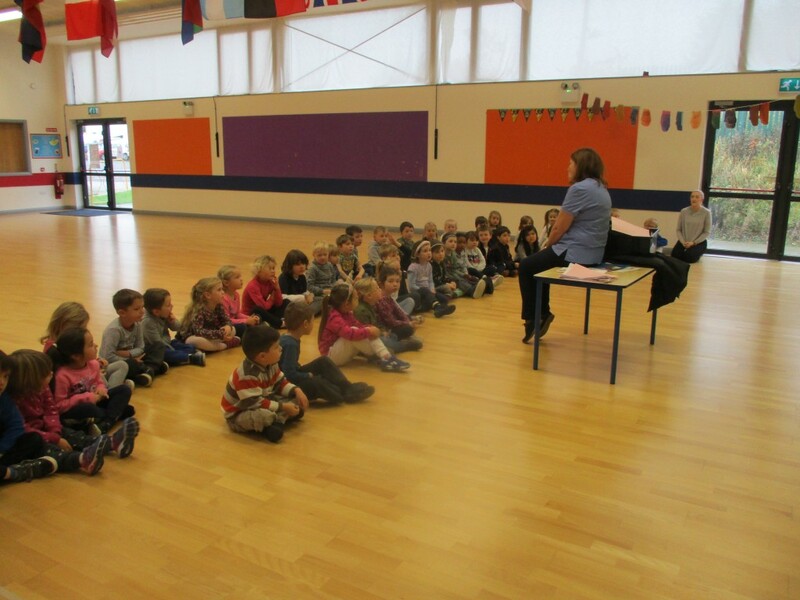 We went on a nature trail in the school grounds and collected fallen leaves and acorns. 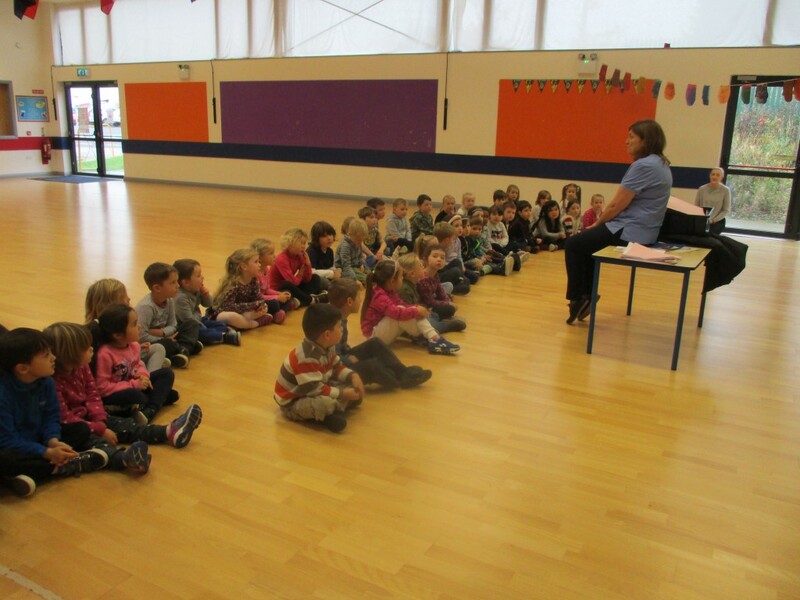 We are very lucky to have lovely oak trees growing in our school grounds. 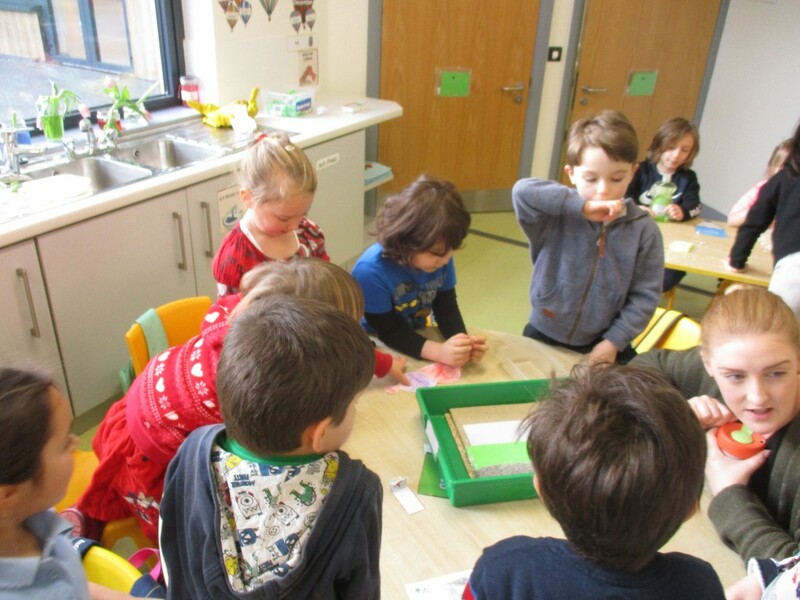 We learned all about the parts of a tree and made leaf prints with the collected leaves.